This is it: the final summer. 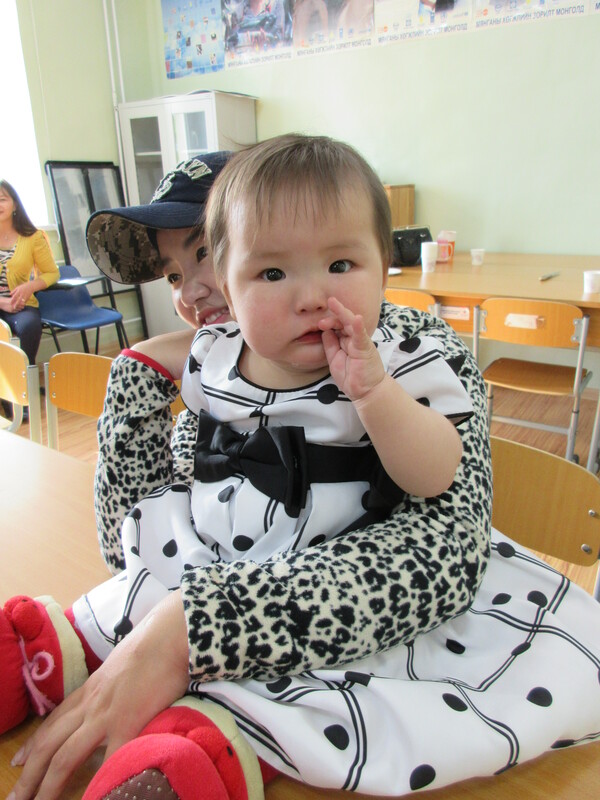 I have less than 1 month left in Mongolia. I have completed my practicum project and submitted all the required documents to my graduate school for me to graduate in August. I’ve bought plane tickets for my COS trip (going back to Japan!) and now know exactly when I’ll be arriving home. It’s slowing dawning on me how much I’ll miss this beautiful place I’ve lived in for the past two years and all the amazing people I’ve met. 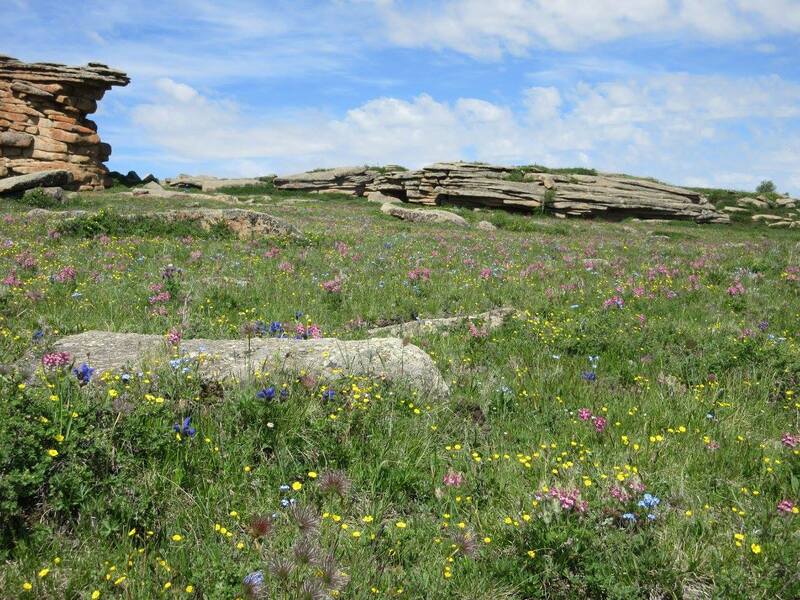 But just because it’s summer doesn’t mean things are slowing down (okay, they are a little). 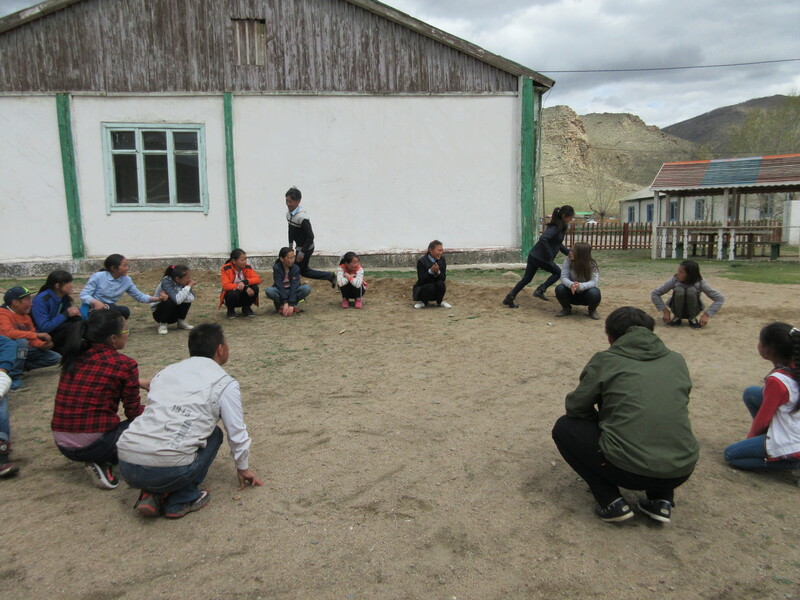 A couple of my sitemates and I (as well as a few PCVs from other aimags) put on a five-day leadership camp for 7th and 8th grade students here in Uliastai. 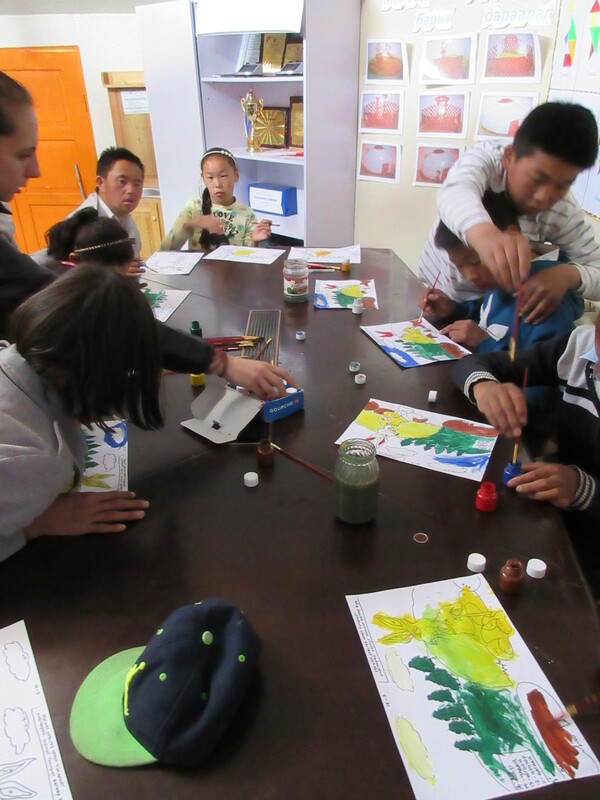 We had community members hold workshops on leadership, communication, teamwork, relationships, diversity, and environmental protection. 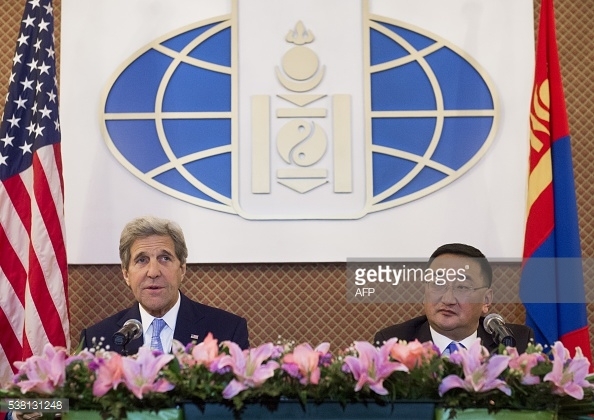 Later in June, the Mongolian national and local elections took place. 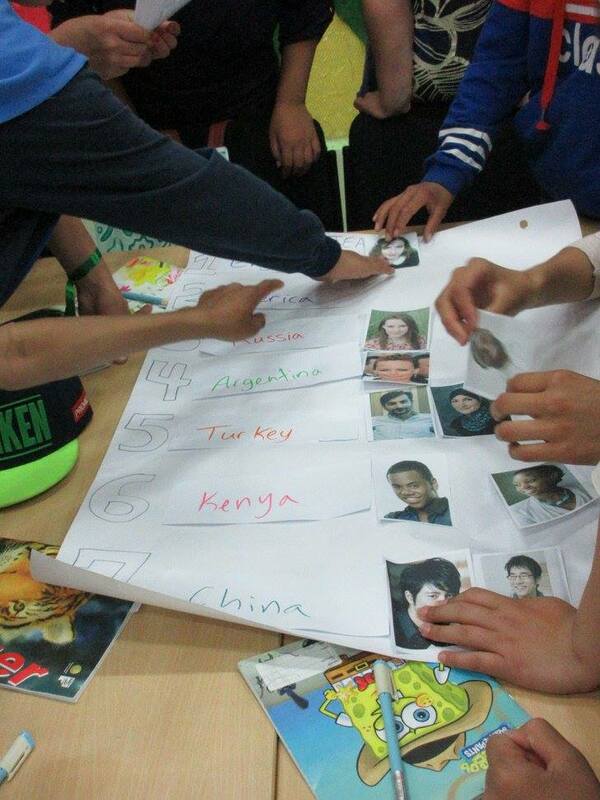 Obviously as Peace Corps Volunteers, we’re not supposed to really discuss politics beyond very general, nonpartisan topics, such as the voting age (16 in Mongolia) and the campaign process, which in Mongolia is quite different than in America. The entire campaign season is barely three weeks. 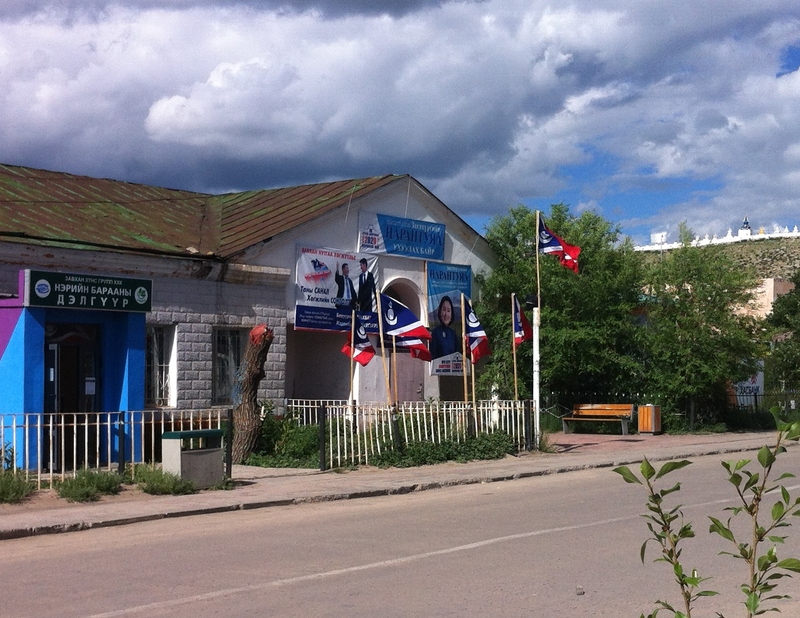 One weekend I was just walking through town and noticed tons of shops and other buildings were draped with posters and photos of the candidates and flags of their respective political parties. There were also an abundance of cars driving around with speakers blaring campaign messages, in addition to the numerous speakers set up outside each of the aforementioned shops-turned-campaign-headquarters. Since the whole process is so short, it makes sense that it would be very high-impact, but I must admit that the music blaring from the shops near my home and the messages from the cars that drove around until well after dark got a little tiring. But voting day was on a Wednesday, so I got the day off from work! On a less happy note, all of the PCVs were on “standfast” (a Peace Corps term meaning we couldn’t leave our sites) for the week or so around the election, since in past years there have been riots and such over election results and PC didn’t want us being outside of our communities if something like that happened this time around. 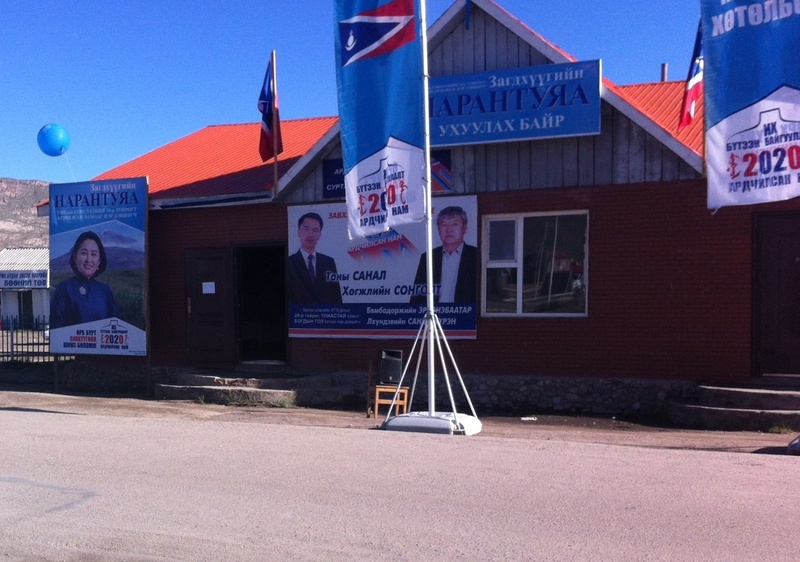 Then the day before the election, all the posters, flags, and speakers had disappeared. 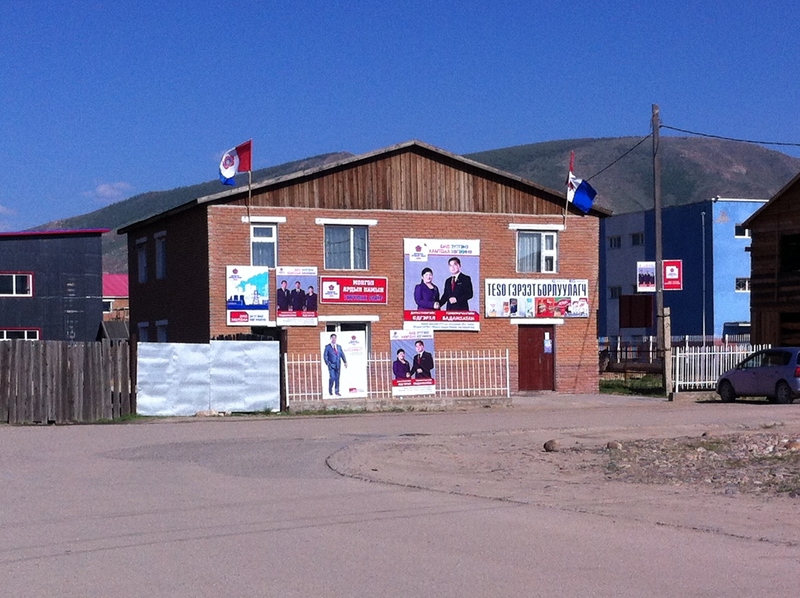 Election day itself was pretty uneventful, which was nice after the stories Peace Corps told us about the 2008 elections that ended in riots, burned buildings, and 5 deaths in Ulaanbaatar. The weather has also turned gorgeous! 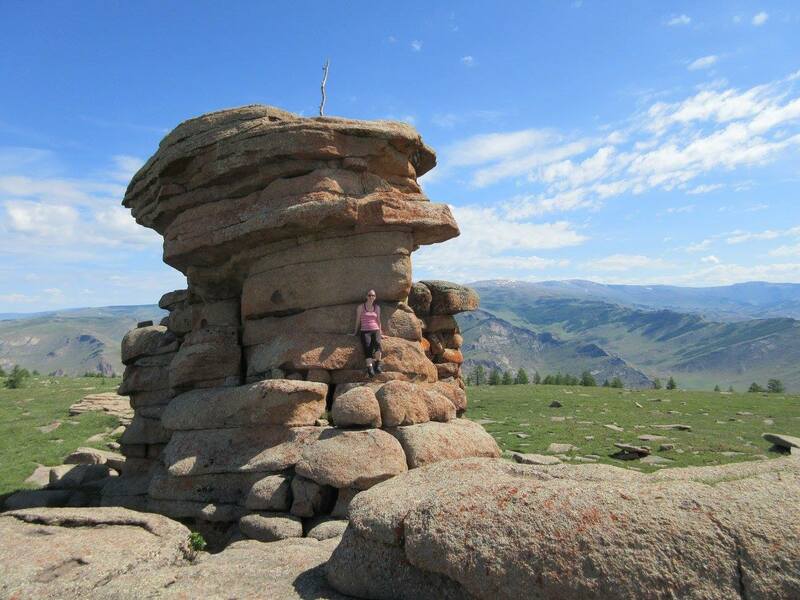 We took advantage of the nice weather this past weekend and finally hiked all the way to the top of the tallest of the mountains surrounding Uliastai (we had attempted the hike last summer, but only got about 3/4 of the way up before realizing we hadn’t really brought enough water and food to complete the hike without some mild suffering and so turned back). 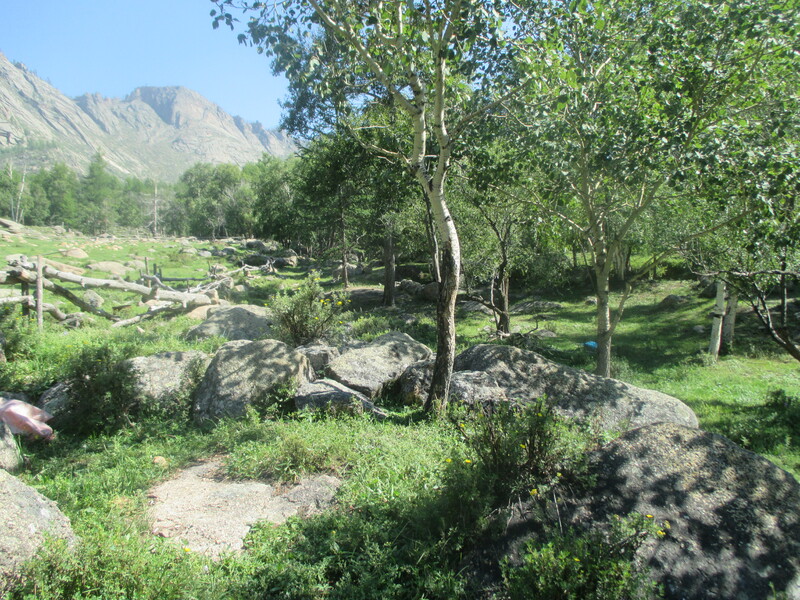 This is also the same mountain I hiked earlier in the year to watch the first sunrise of the new year, but on that occasion we had taken a different route to a lower summit. and views of the town. We explored the summit for a couple hours, then made our way back down. 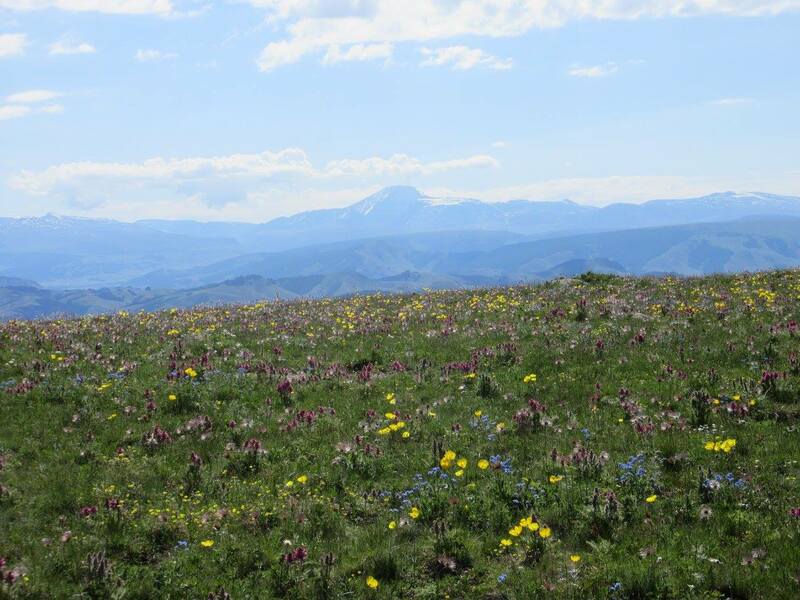 And although my legs were sore and I got a bit sunburned (long Mongolian winters spent bundled up in several layers of clothes don’t do much for your skin’s tolerance to sunlight), it was an amazing way to really soak in the beauty of Uliastai before I leave. 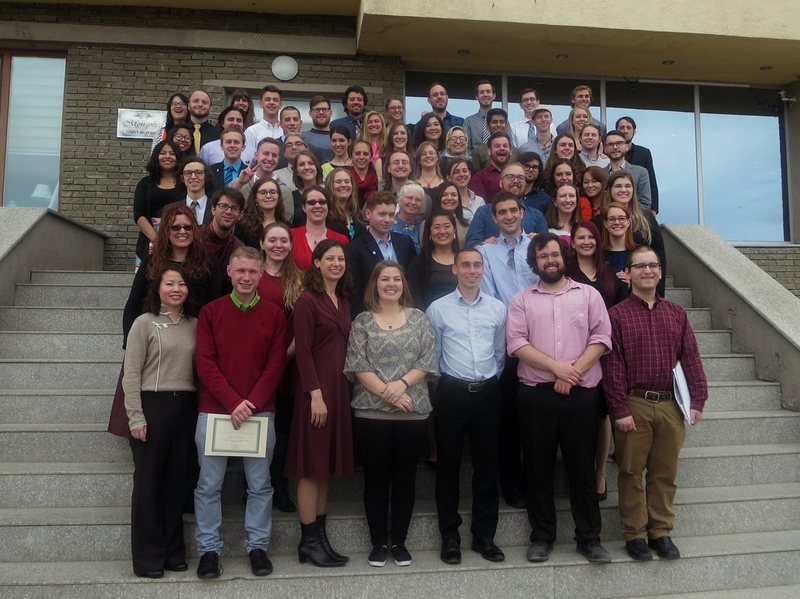 The last week of April was my cohort’s Close of Service (COS) Conference–aka the start of the home stretch of our Peace Corps service. It was also (at least for my cohort) the last time we would all be together. 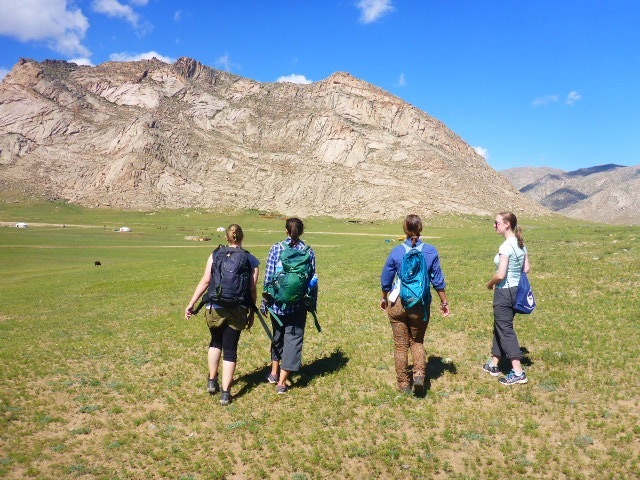 I don’t know how other Peace Corps countries work, but in Mongolia, they typically have each cohort COS over a period of about 3 weeks so as to not have a horde of PCVs descending upon the capital at once and all trying to get their COS appointments and paperwork finished at the same time. And even though my cohort’s official COS date is August 16, 2016 (exactly 2 years after we swore in), Country Directors can move a group’s COS date up by no more than a month, typically to accommodate PCVs who go straight into graduate school at the end of their service. 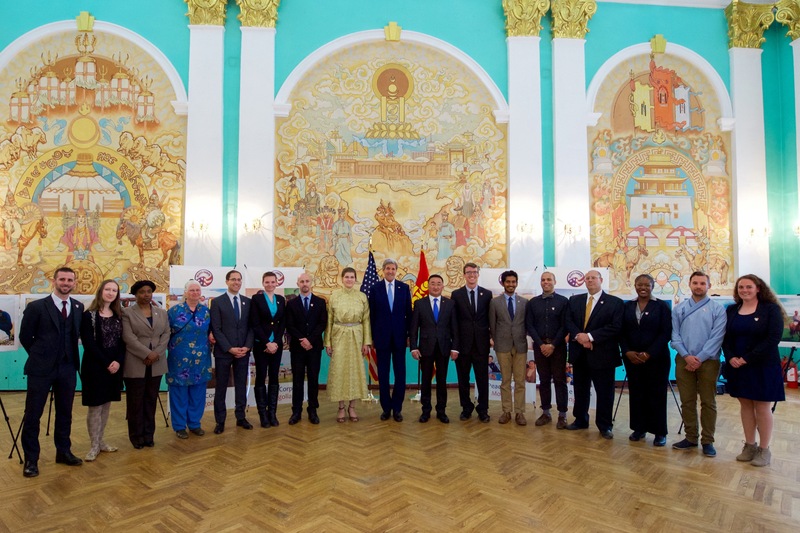 So the first COS week is the second-to-last week of July, which got further complicated by the fact that Mongolia is hosting the Asia-Europe Meeting (ASEM) Conference in the middle of July, and it’s a huge deal! 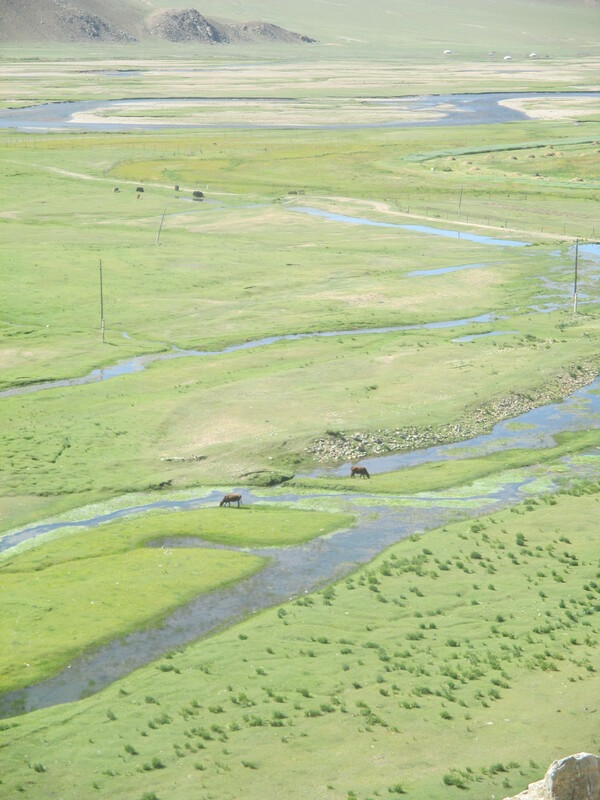 The Heads of State of 60 countries are coming into UB for the conference, pretty much all other transportation into and out of the city won’t be running, and the Mongolian government has kindly asked all UB residents to go out into the countryside for a week or so to stay out of the way. The only transportation that will be running is the train line, so the 18 or so PCVs who live along the train line were told ahead of time that they had to leave during the first COS week. For the rest of us, we had a “lottery” at the beginning of the COS Conference for either the second COS week (the last week of July) or the third COS week (the first week of August), and we could trade dates among ourselves. I drew the third week, which is fine for me since–unlike many other people in my cohort–I don’t have grad school or a job or anything lined up for right when I get back to the US, and I would have traded with someone who needed an earlier date had I drawn the second week anyway. The way I see it, we’re all technically going home early, so I can’t complain about being one of the last to leave. 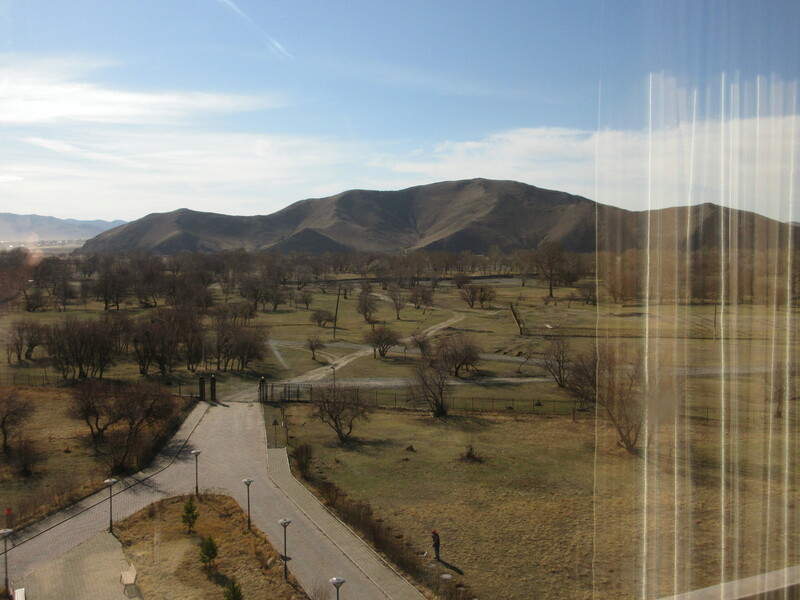 The conference itself was held at a very nice hotel outside of UB, although it was so far outside of UB that it was in the middle of nowhere. But the hotel was the nicest that we’ve stayed in for any of our PC conferences, probably because they pull out all the stops for the “survivors” who make it the full two years (about 70% of our cohort). 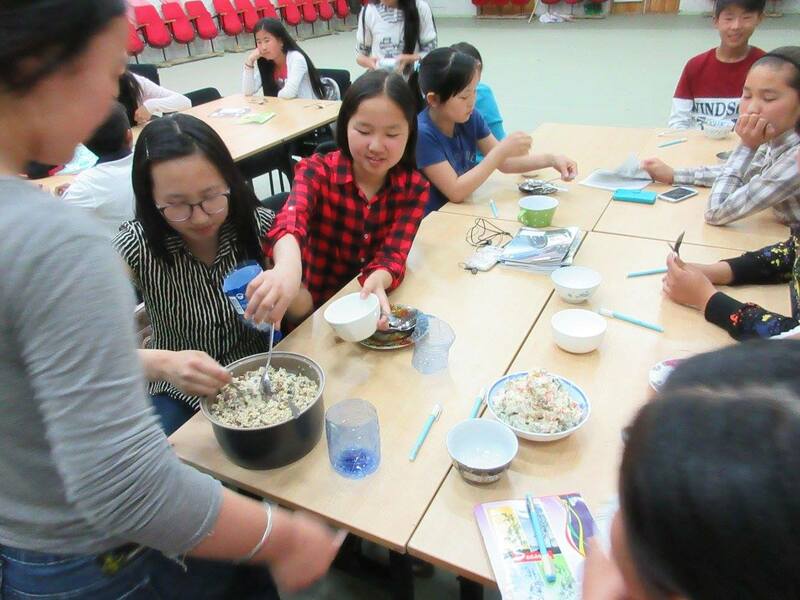 The food was amazing: our first meal when we arrived was hot pot, which is surprisingly uncommon outside of major cities here considering hot pot apparently originated in Mongolia many, many centuries ago. Breakfast and lunch each day was a buffet, and we had 3-course dinners every night. And on a non-food-related note, the hotel even had a sauna, which we obviously took advantage of. providing feedback about our PC service, looking to the future (e.g., networking, resume writing, job search resources for RPCVs), and learning about the logistics of COS itself (which is three days in the capital packed full of things like closing our Mongolian bank account, having our last medical appointments, turning in our Description of Service [the official record of what we did during PC], and meeting with the Country Director, our Regional Manager, and other admin people). 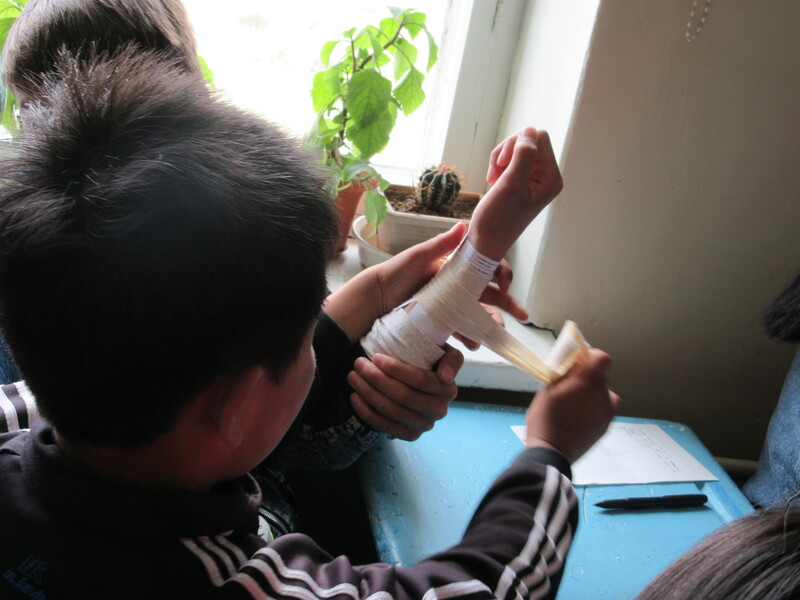 We also had our final LPI to prove how much (or how little) our Mongolian improved ver two years. 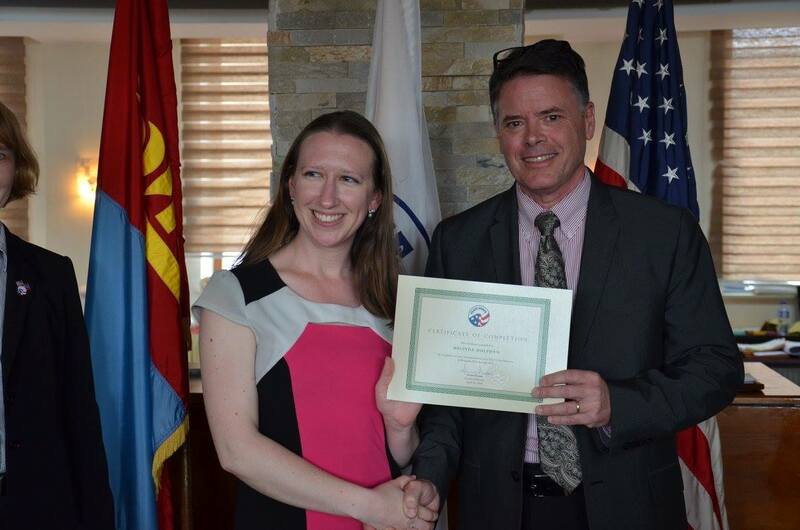 On the last day, the US Ambassador to Mongolia came to have lunch with us, and in the afternoon our Country Director handed out certificates of completion to each of us. Our flight back to Uliastai was the next day, but after sitting at the airport for almost five hours because our flight kept getting delayed due to a snowstorm that was right over Zavkhan, the airline finally decided to cancel the flight and have us just come back the next morning. 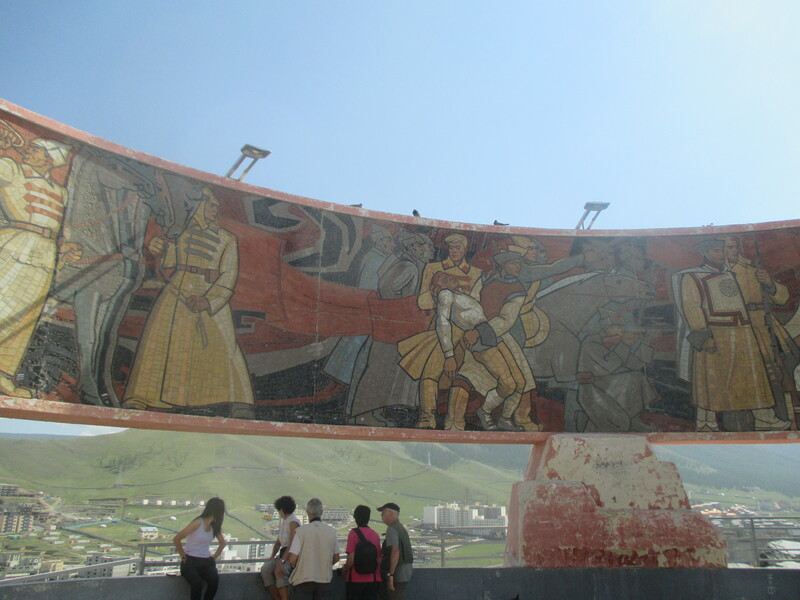 So we spent another night in UB, and even though the same storm came over the city that night, it wasn’t nearly as bad as it was in Zavkhan, so we were able to fly back without any additional problems. Such is life in a place where no month of the year is immune to a random snowstorm messing up your schedule. 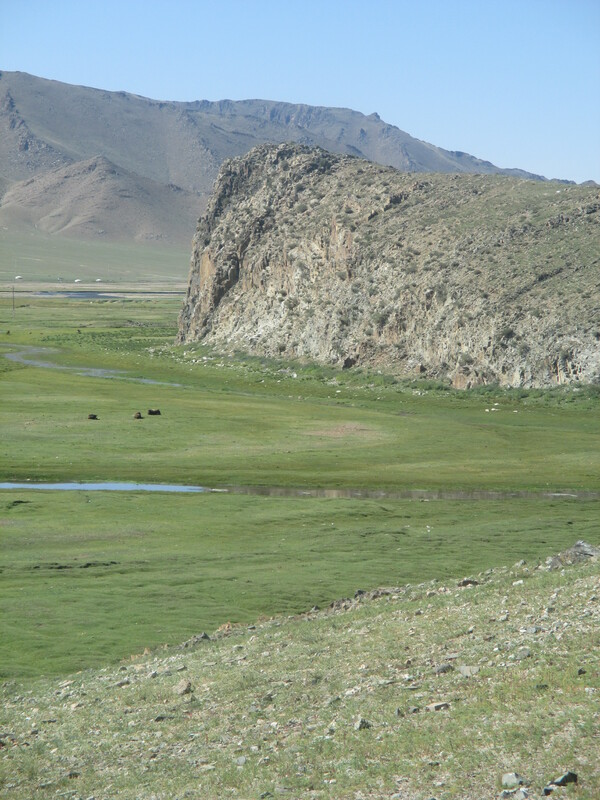 I now have a little less than three months left in Mongolia (I can officially leave the country any time after 6pm on August 3). 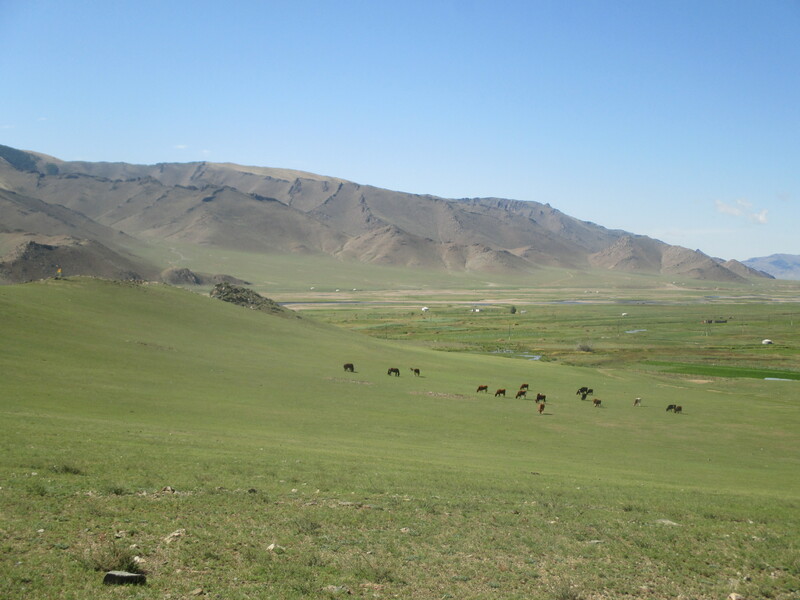 I am excited to go back home, but there’s still a lot for me to do here in Mongolia: I need to finish up my practicum project for my Master’s International program so that I can graduate with my master’s degree in August; I need to write my DOS and update my resume to reflect the work I’ve done in PC; and I need to start focusing on job-hunting and my future career. Peace Corps gives COSing Volunteers two options for returning home: you can either have Peace Corps purchase a plane ticket for you to send you straight back to your “home of record” (with no input from you regarding dates and airlines) or you can take a flat $1400 and arrange your own way home. I plan to travel some more after I COS, so I decided to take the money and run! Which leaves me with another thing to add to my pre-COS to-do list: planning another trip! Onto the second half of our trip to Japan! 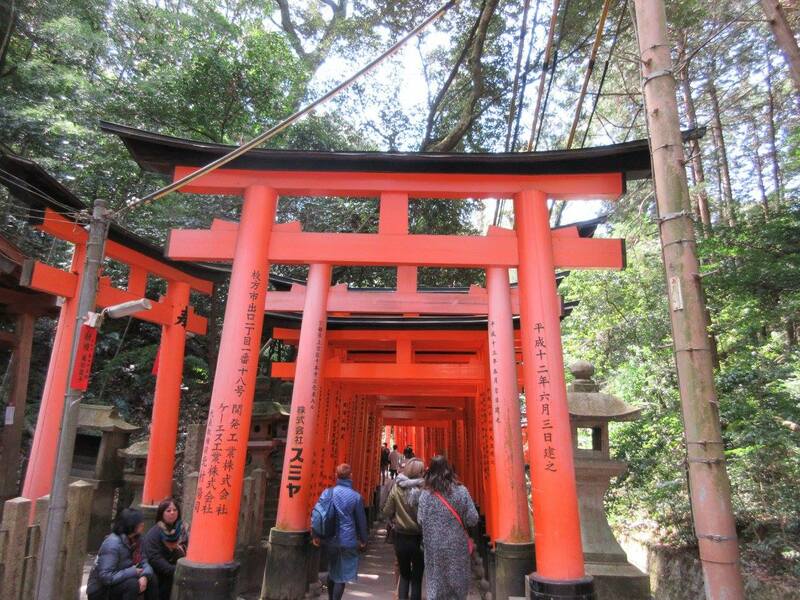 Then it was off to Fushimi Inari Shrine, which is famous for its thousands of bright orange torii gates which form tunnels along the trails up the mountain. You could easily spend hours exploring the entire shrine and all the hiking trails, but we had an appointment set up to get rental kimono! Kyoto is one of the places in Japan where it is still extremely common to see people dressed in traditional kimono (mostly groups of young women and couples where it’s clear the woman pestered her boyfriend into dressing up with her), and as such it has hundreds of rental shops where people (both Japanese and foreigners) can change into kimono and have their hair done and go out to explore the town, all for a pretty reasonable price (the place we went to ending up being 3000 yen, or a little less than $30, because we made appointments ahead of time). Basically you go in, pick out a kimono, obi (belt), and bag, grab a pair of tabi (socks) and sandals, have the workers dress you up, and then get your hair done. You leave your original clothes and anything else you don’t want to drag around with you at the shop, go off to explore, and then come back to the shop at the end of the day. 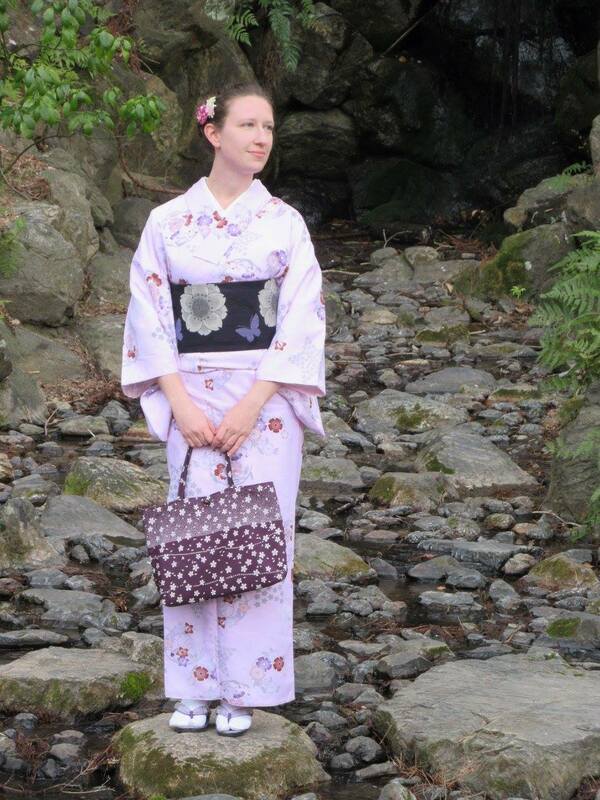 After getting dolled up, we visited Yasaka Shrine and Maruyama Park and basically did photo shoots for each other. 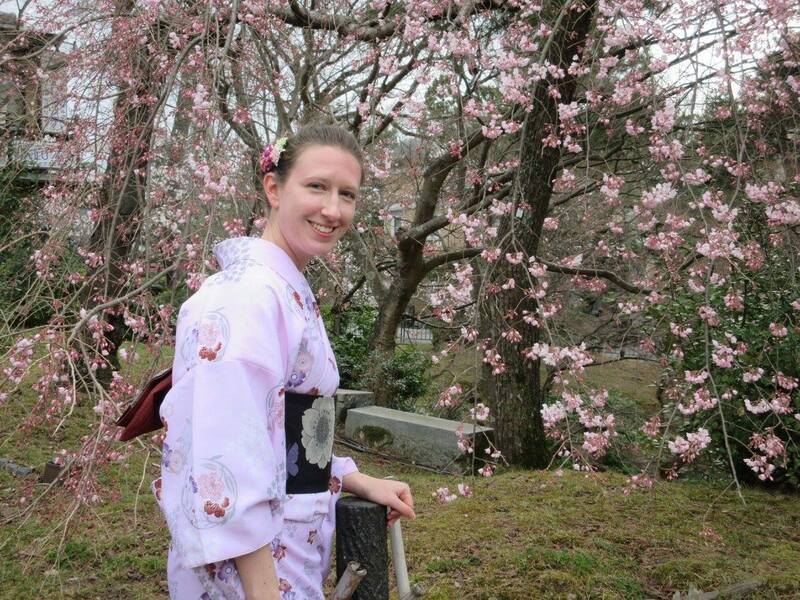 It did feel a little weird at first, since most of the other foreigners who dress up in kimono (at least according to the lady at the rental shop we went to) are Koreans, who don’t stick out quite as much as a couple of blonde white girls. 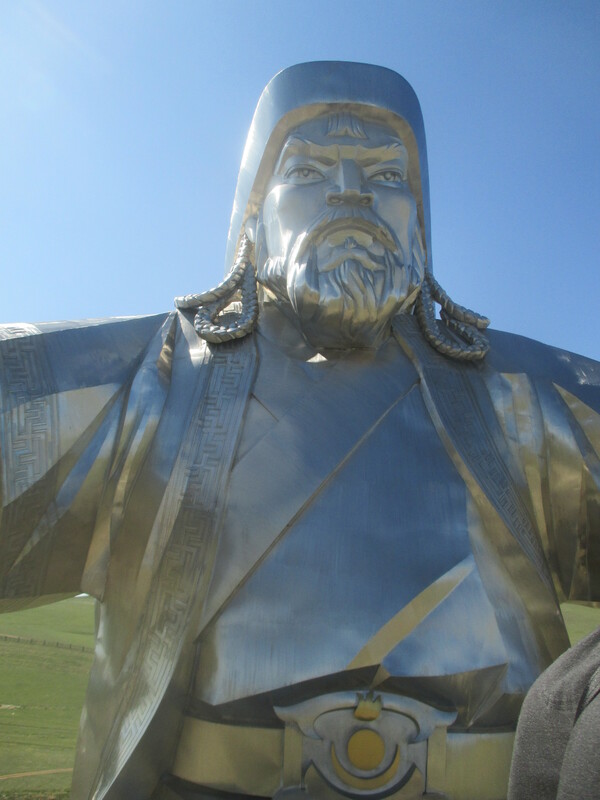 (Luckily being two of only a handful of foreigners in an entire province of Mongolia for two years had already given us more than enough experience with being stared at.) But it ended up being a fun experience and we got some great photos! 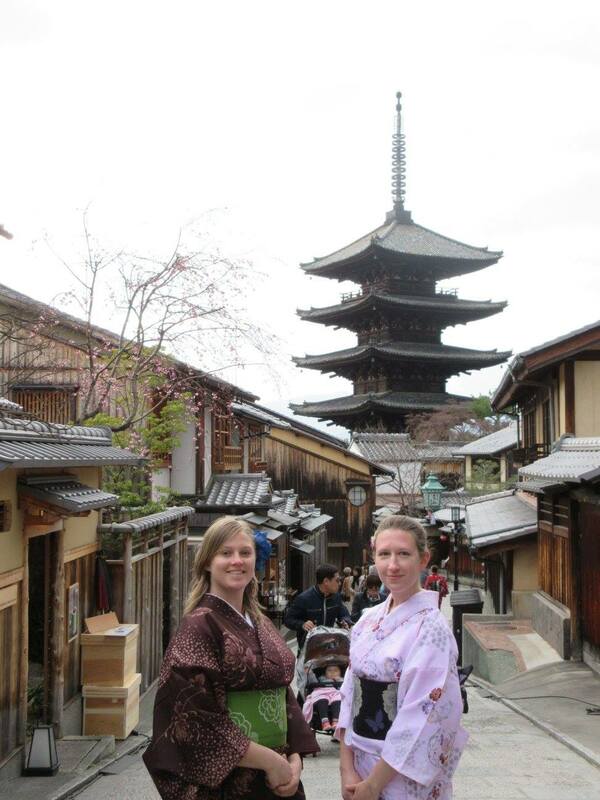 We also walked through the Higashiyama District and saw Yasaka Pagoda. 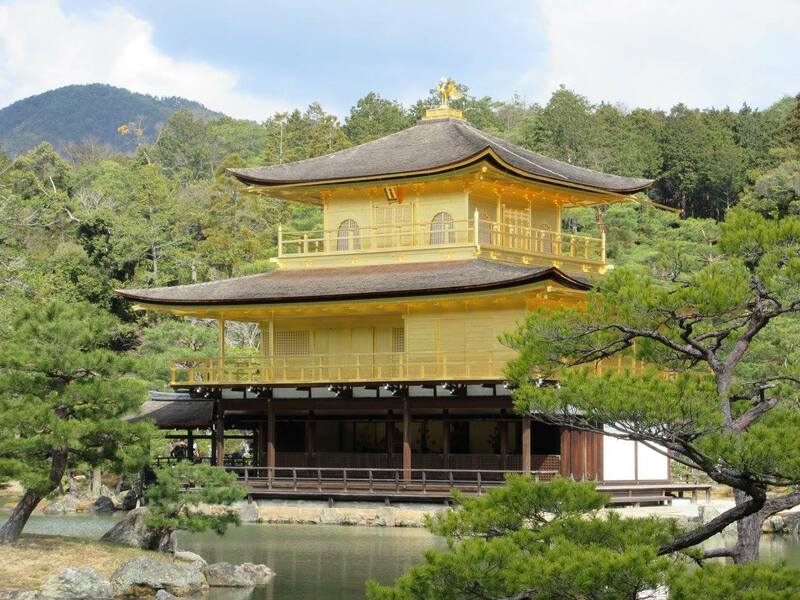 There were a few other places we had planned to visit, including Kiyomizu-dera Temple, Kodai-ji Temple, Chion-in Temple, and Ginkaku-ji (the “Silver Pavilion”), but most temples tend to close by 4 or 5pm so we ran out of time. Needless to say, Kyoto has more than enough things to see and really is a beautiful place! That evening we went to a public bathhouse called Funaoka Onsen, which is one of the oldest still-functioning sento in Kyoto and is quite famous, with a variety of indoor and outdoor baths and a sauna. So relaxing! We left Kyoto in the morning and took the bullet train again, stopping for a day in Nagoya on the way back to Tokyo. First we spent a couple hours at the Nagoya City Science Museum. Then it was off to Atsuta Shrine, which has a restaurant on its grounds where we ate kishimen noodles, a Nagoya specialty. 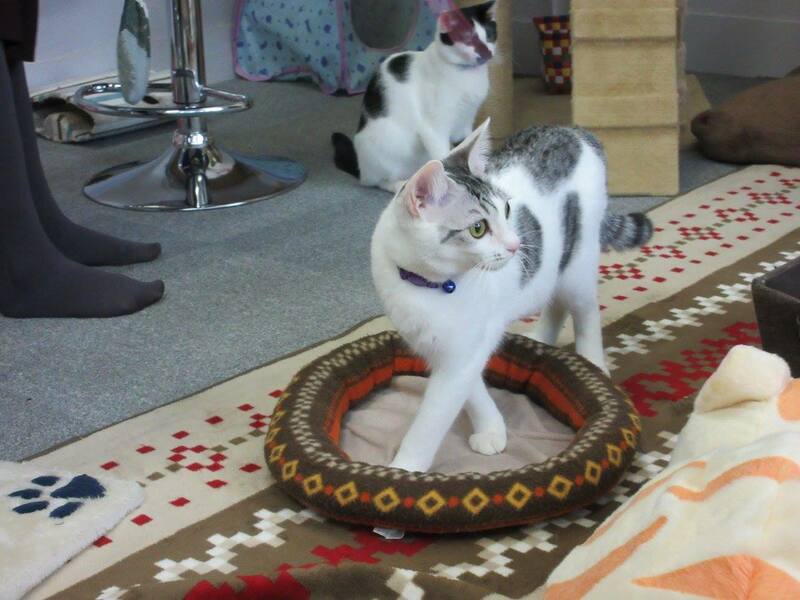 In the evening, we went to a cat cafe. Animal cafes (specializing in cats, rabbits, birds, etc.) are really common in Japan. They let people spend time with animals that they might not be able to own, and enjoy a drink and snack as well. Our hostel in Nagoya was extremely nice, with a luxurious bathroom and cute little “pods” for each guest. 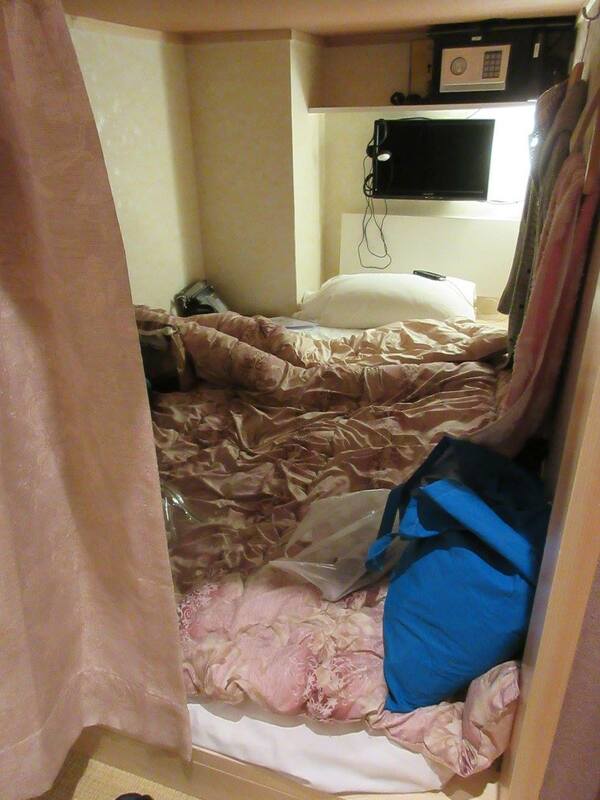 Ok, so it looked like a mess after I laid out the bedding and threw all my crap in there, but it was comfy as hell! Before leaving the city, we stopped by Nagoya Castle (my sitemate really wanted to see castles). Then it was back on the bullet train to Tokyo. Near Tokyo Station is a shop called Kyoto-kan, which (as you might have guessed) specializes in all things Kyoto. 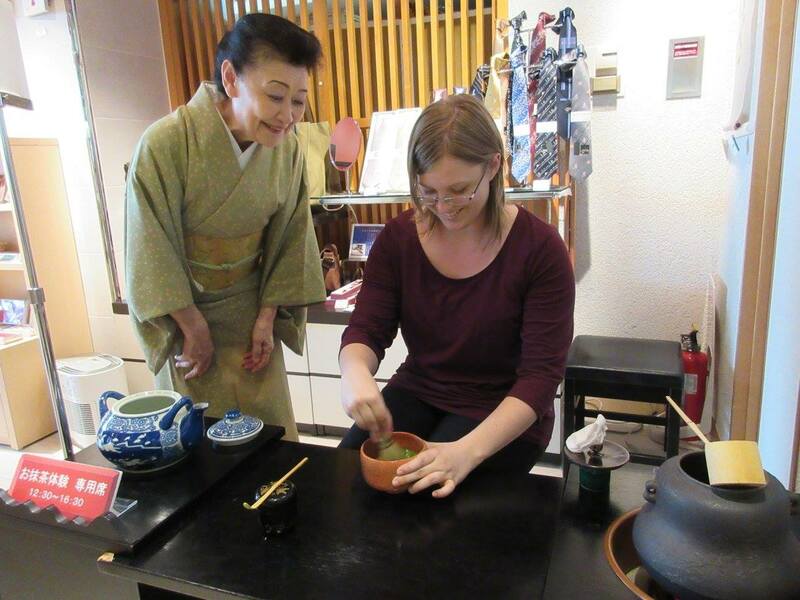 I was interested in seeing a tea ceremony while we were in Japan, but in general they’re not exactly cheap to attend, so my research led me to Kyoto-kan, which has a teishu (ceremony host) who offers 20-minute tea ceremonies for only 500 yen (a little less than $5). Because there was just the two of us, the teishu even let us try whisking the matcha (powdered green tea) ourselves. We had originally intended to visit the Tokyo Imperial Palace on this day, but as I found out the week before our trip, you can only visit by applying for a guided tour, which they apparently don’t do on the weekends (and all the tours on the other days we were in Tokyo were already booked). So instead we just wandered along the moat that surrounds the palace and the large garden to the north of it. 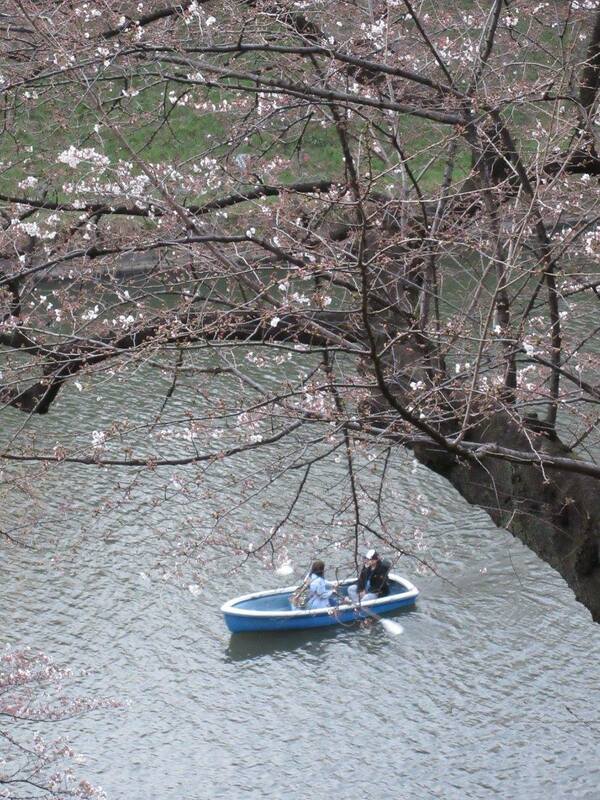 Then we walked through Kitanomaru Park, famous for its Chidorigafuchi Moat lined with cherry trees. 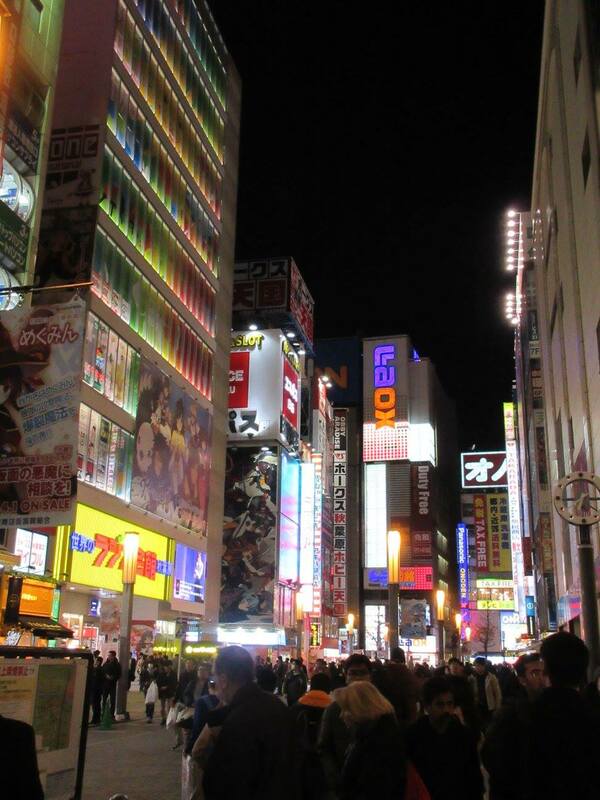 We spent the evening in the Akihabara district, aka “Electric Town,” known for its many electronics stores and anime/manga shops. Needless to say, it was very bright and colorful! 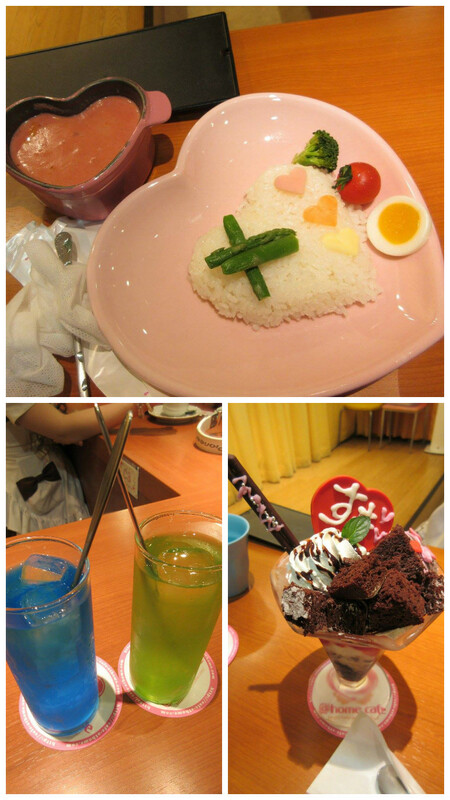 In Akihabara we had dinner at a “maid cafe,” possibly the most Japanese thing I’ve ever heard of; the servers dress and act like maids and all the food is super cutesy. It was an interesting experience, and the food was really good! This was our last full day in Japan. In the morning, while walking to our first destination, we stopped by Senso-ji Temple again (this time in the daylight), as well as the Nakamise shopping street in front of the temple, got some photos of the Tokyo Skytree, walked along the Sumida River, and stumbled upon Yokoamicho Park, which houses several memorials and museums dedicated to the victims of the Great Kanto Earthquake of 1923, the Tokyo air raids of WWII, and other disasters. Then we arrived at the Edo-Tokyo Museum, which has many interactive exhibits, English on most of the displays, and various performances if you happen to be there at the right time. I highly recommend it! Later in the day we went to Ueno Park. 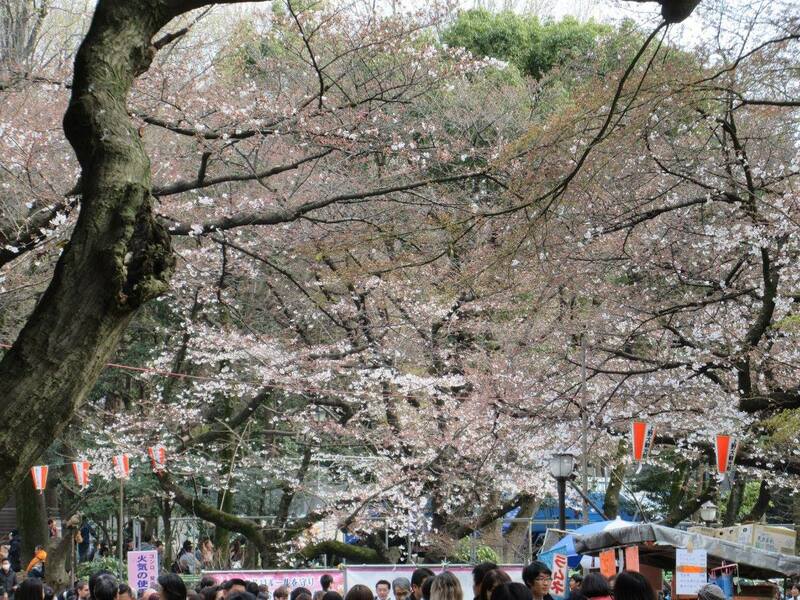 As it was the beginning of the cherry blossom season (and the weekend), the park was packed with tons of people holding hanami (cherry blossom viewing) parties. While at the park we visited Toshogu Shrine, Hanazonoinari Shrine, and Shinobazu Pond. 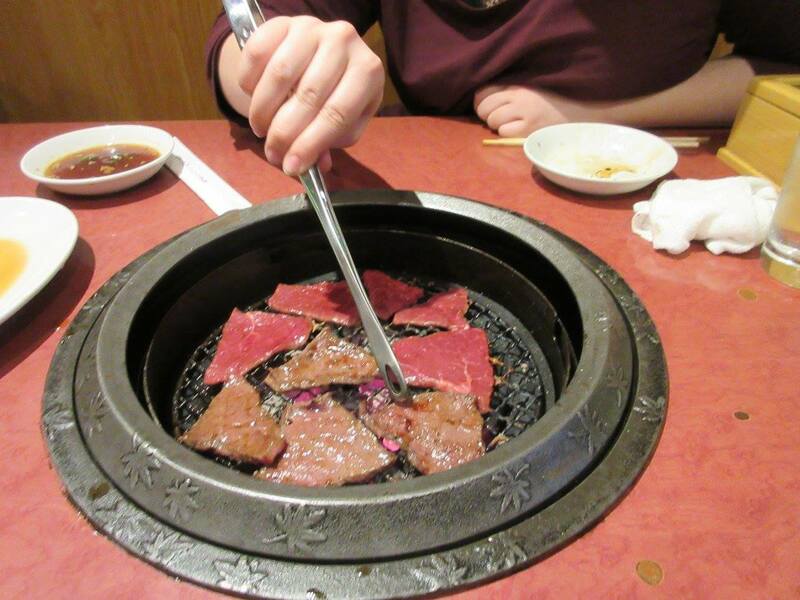 For our last dinner in Japan, we went to a nice Japanese BBQ restaurant (one where you cook your own meat and vegetables on the grill built into your table) and tried some sake. All very yummy! 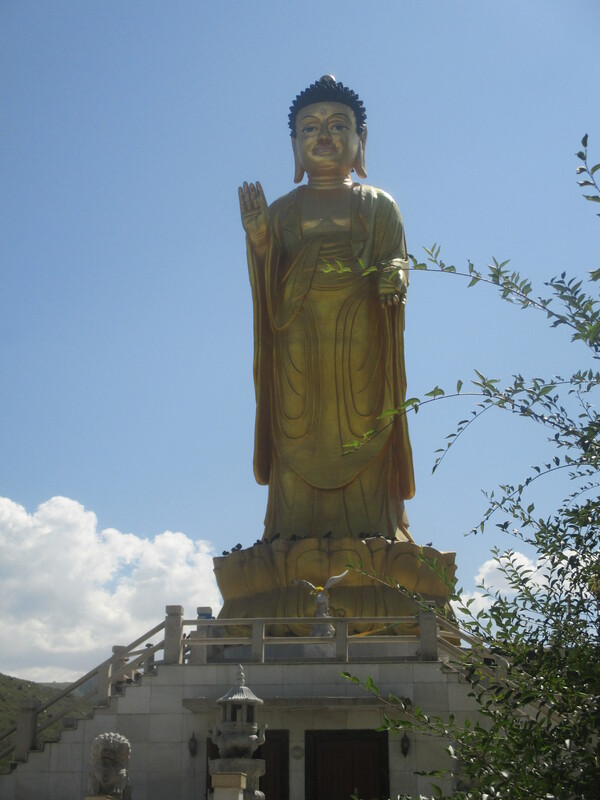 We left Japan early in the afternoon, had another long layover at the Incheon International Airport in Seoul, and arrived back in Mongolia late that evening. Like before the trip, we spent a couple days in UB to relax before taking the long bus ride back to site and back to the daily grind. 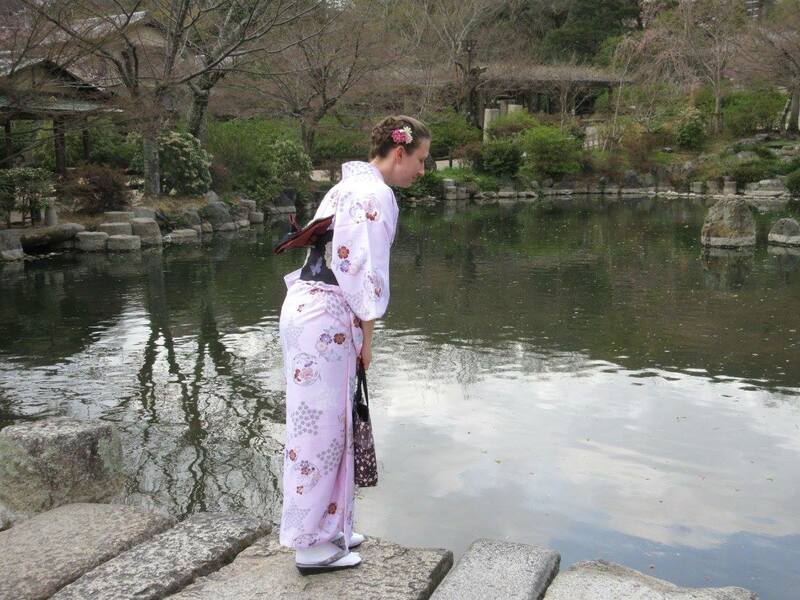 It was an amazing trip and I really do hope to get a chance to go to Japan again some day! There are just so many things to see that one relatively short trip doesn’t cut it, but it was a very much needed trip. 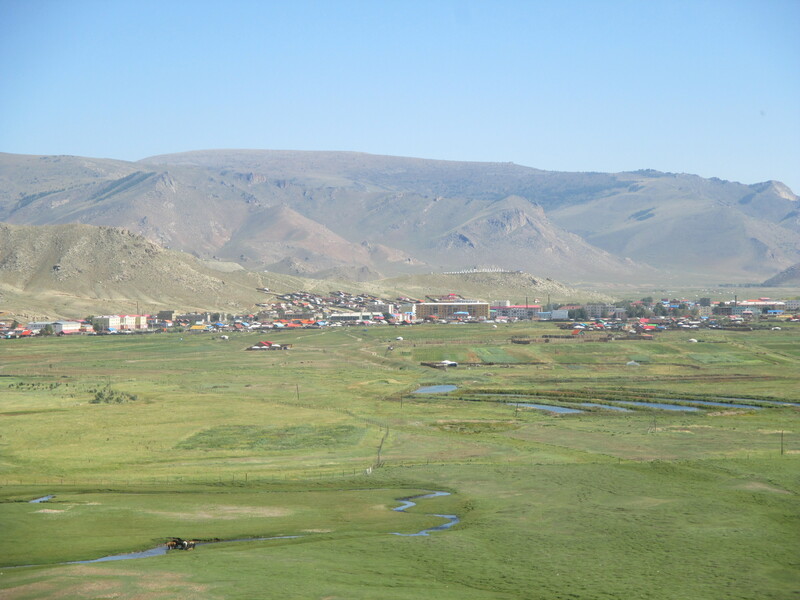 I hadn’t left Mongolia in almost 2 years, so it was nice to get out for a bit and experience a (very) different culture, eat amazing food, and have regular access to running water! Now there’s less than 4 months left of my Peace Corps service, and my next post will be about my cohort’s COS (Close of Service) Conference coming up soon! The 4th and 5th Nines are thought to be the coldest, and that was definitely true this year. 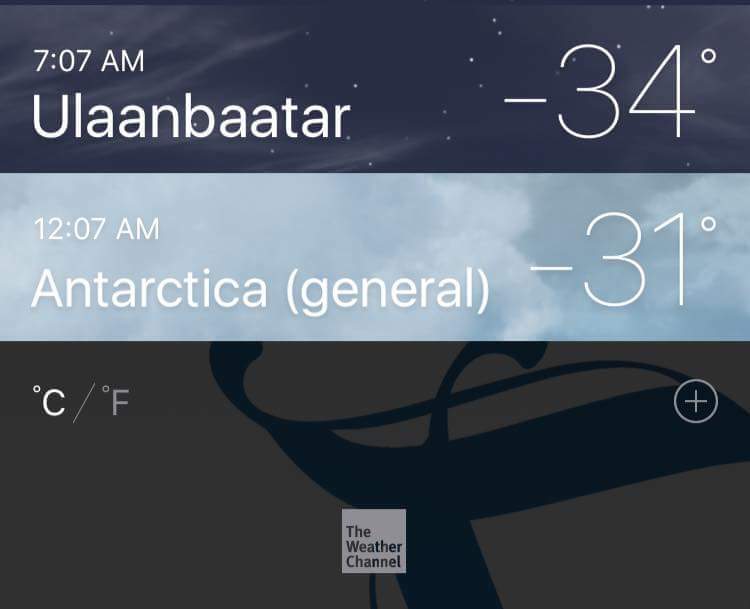 There were a couple weeks in mid to late January when it was well into the -30s F (-35 to -40 C) every single night, and never even got close to breaking 0 degrees F (-18 C) during the day. I’ve been chopping so much wood recently to keep the fire in my stove burning that I was really worried for a bit that I had injured my shoulder (it’s better now because I got a little wood-chopping break thanks to my sitemate). I spend the first hour or so after I get home from work huddling next to my stove, then slowly start taking the layers off as my ger warms up. Even the nights when it got close to -40, I couldn’t keep a fire going all night because that would have required me to wake up several times during the night (I don’t know if it’s the kind of stove I have or just the fact that my ger is relatively large and therefor has more air to heat, but it is impossible to keep it warm without tending to the fire every hour or so, even when I use coal). So instead of keeping warm that way, I go to bed wearing two layers plus my winter deel, sleep in my Peace Corps-issued sleeping bag (rated to -20 degrees F/-29C! ), under my down comforter, along with a winter hat and gloves. Then I wake up in the morning, quickly start a fire, then run back under the covers for another 30-40 minutes until my ger is bearable. Even then, I can still see my breath while getting ready in the morning, and all my toiletries (toothpaste, face wash, moisturizer, etc.) are pretty much frozen (but ice crystals are exfoliating, right?). It’s really cold is what I’m saying. This was predicted to be a particularly harsh winter, and I can say that it’s definitely much colder than last winter. I can’t even escape the cold at work, since the radiators we have at the health department only provide so much heat unless you’re sitting right next to them. So, most of the time I’m wearing my jacket (and sometimes even gloves) in my office at work. But, the Nines are over half-way through, and even though what I perceive as winter will continue for 3 or 4 more months, the coming above-zero days will feel like a sauna by comparison! 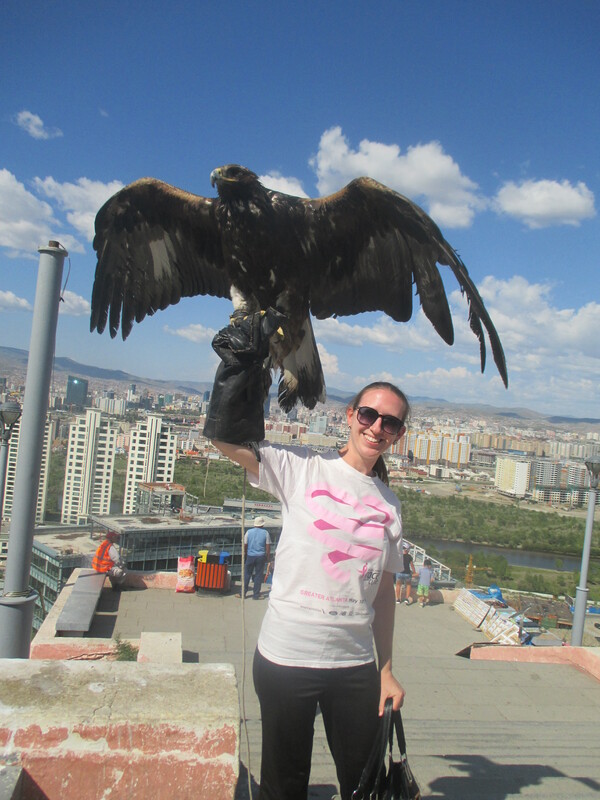 I spent a few days last week in UB for a training (ok, the training was only one day but with Zavkhan’s twice-weekly flight schedule, I got to stick around for a few extra days). 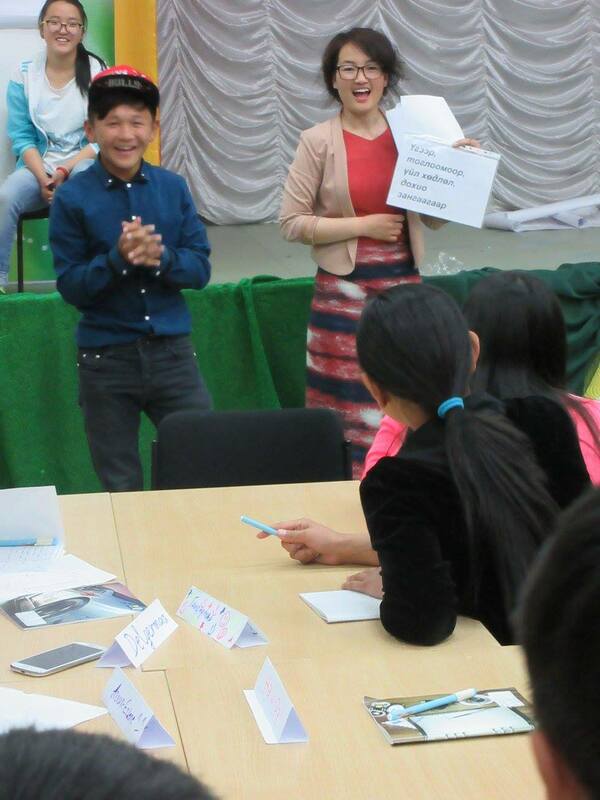 It was a seminar regarding PC/Mongolia’s EAP (Emergency Action Plan), so since it concerns the safety and security of PCVs in-country, I probably shouldn’t really talk about here. 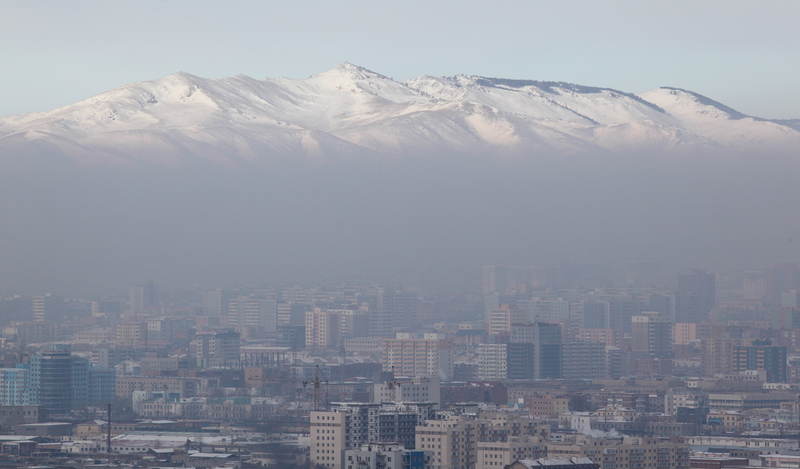 So instead, I’ll discuss just how insanely smoggy UB is, particularly in the winter. 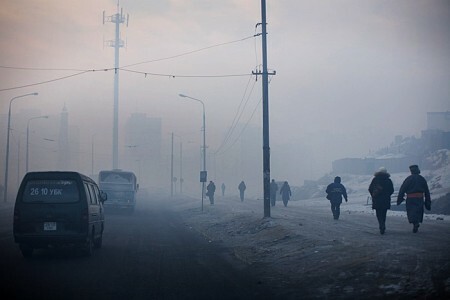 I knew UB had an air pollution problem, but I just don’t remember it being so bad the couple of times I was there last winter. I guess I didn’t spend as much time walking around outside during my last winter visit, since all the sessions and meals during our IST last year were held at the same hotel we were staying at. But this time around, I was walking outside a lot, and my lungs did not appreciate the air quality. It was worst in the evening; every time I went out to dinner with friends, I would step out of the restaurant and immediately start hacking my lungs out. 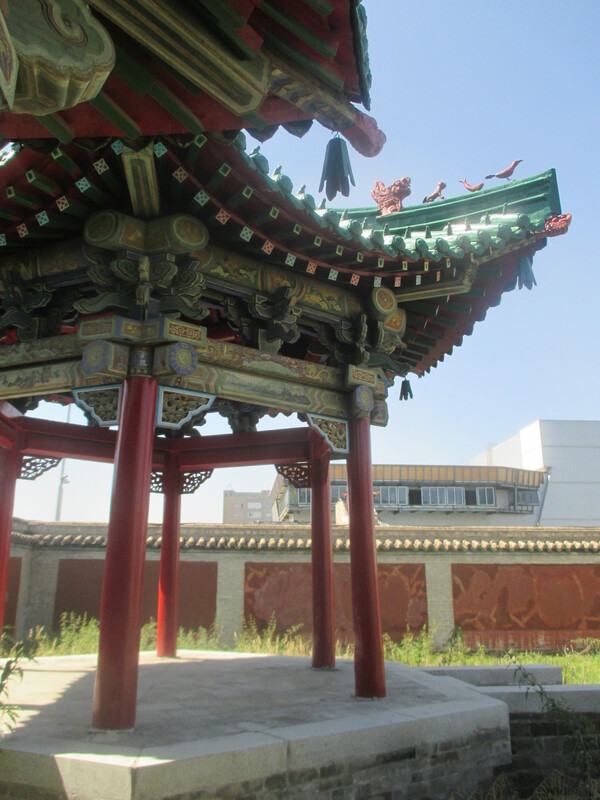 Not that UB’s smog is a new development. 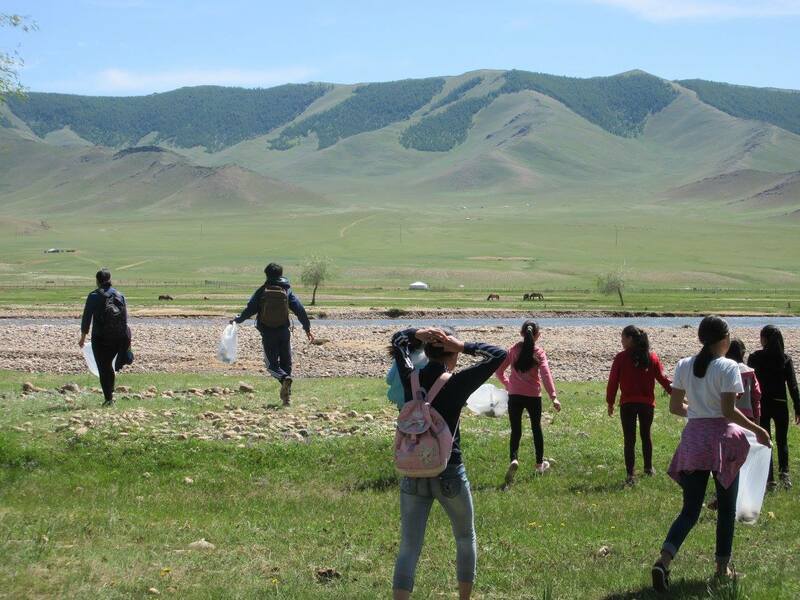 I found articles from 2013 that discuss how UB is the second most polluted city in the world–not exactly what you’d expect of a city in the sparsely-populated, wide-open land of Mongolia. 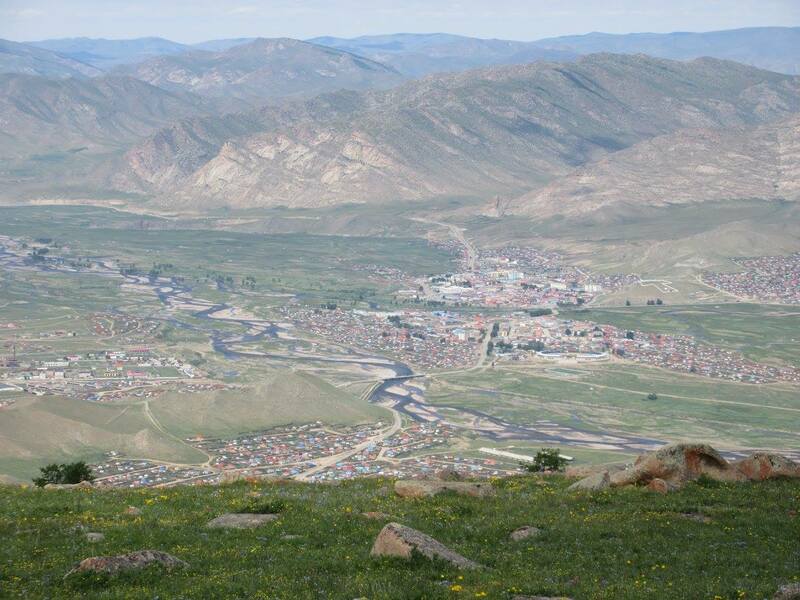 But get nearly half of the country’s population living in one city, and then get half of that group of people living in traditional gers and wooden houses in the “ger districts” of UB, and you’re left with well over 500,000 people who all rely on old-fashioned wood and coal-burning stoves to cook food and not freeze to death during the long, harsh winters. 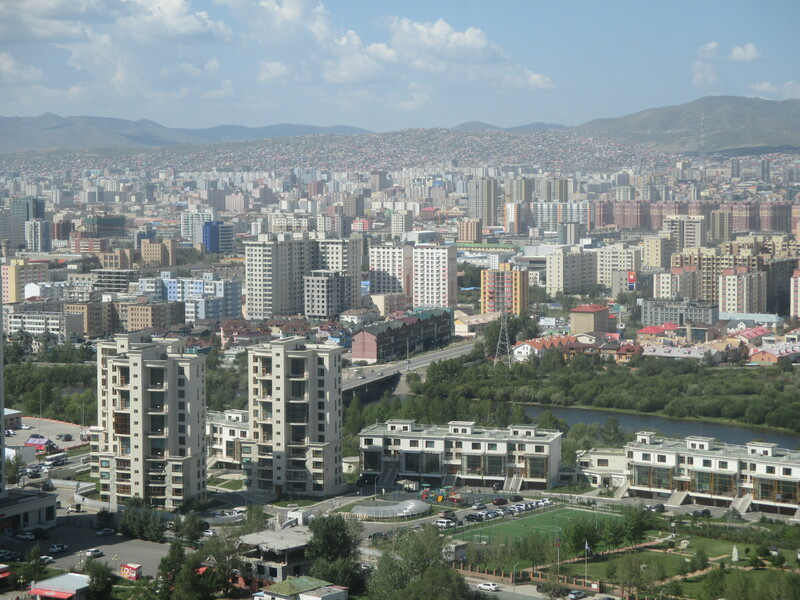 The coal-fueled power plants and growing number of cars on the streets are certainly also contributing to the air pollution, as is the fact that UB is located in a valley surrounded by mountains that reduce air circulation, but air pollution from household stoves is a somewhat unique contributor that other top air pollution cities don’t really deal with. 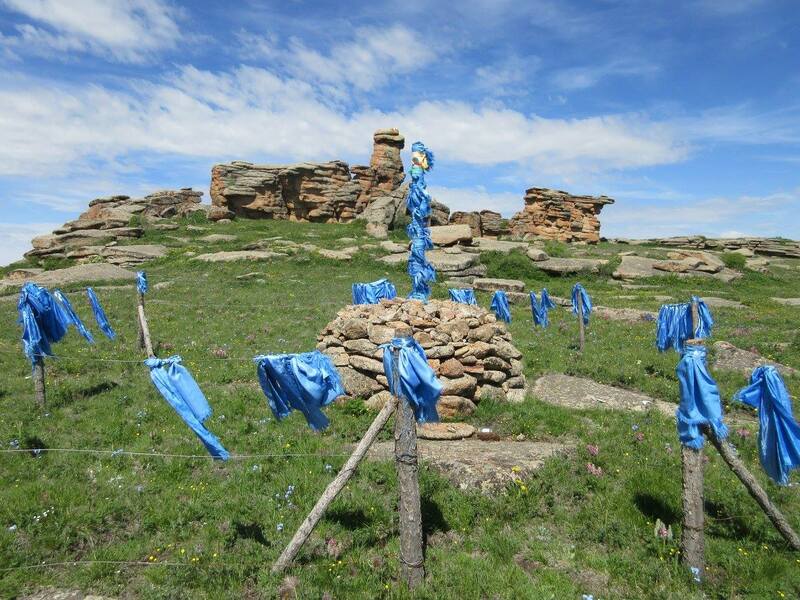 The Mongolian government, as well as several international organizations, have been looking into possible solutions, such as cleaner-burning stoves and continuing to expand the public transportation system, but it looks like for now, I’ll just have to appreciate the fresh mountain air of Uliastai even more. After PST was over and all the new PCVs had gone off to their sites, I went to UB to await my cohort’s Mid-Service Training (MST). 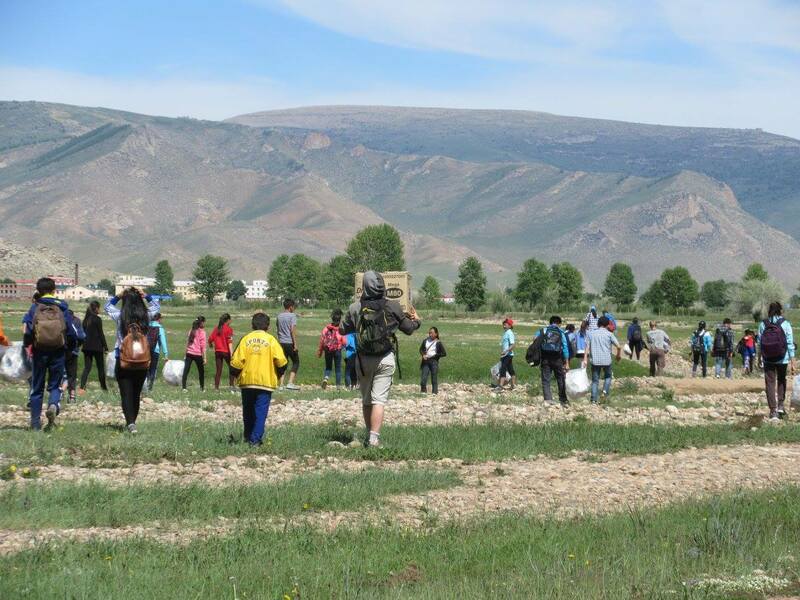 There was only a week between the M26s’ PST and our M25 MST, and Peace Corps sure as hell wasn’t going to pay for any of us fly-site people to take a plane trip back to site for a few days just to turn around and head right back again. 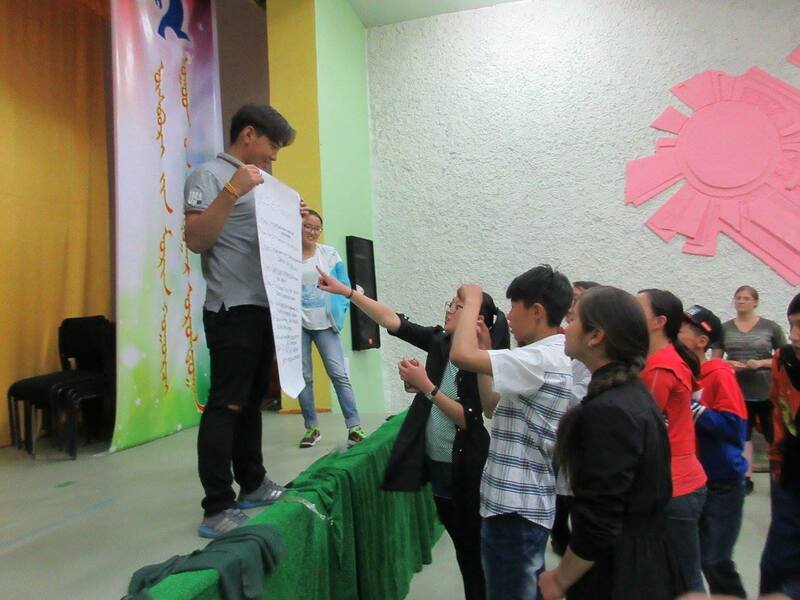 So I literally hung out in UB for a week. Which sounds great, except I had to foot the bill for almost everything (and staying in UB is expensive! 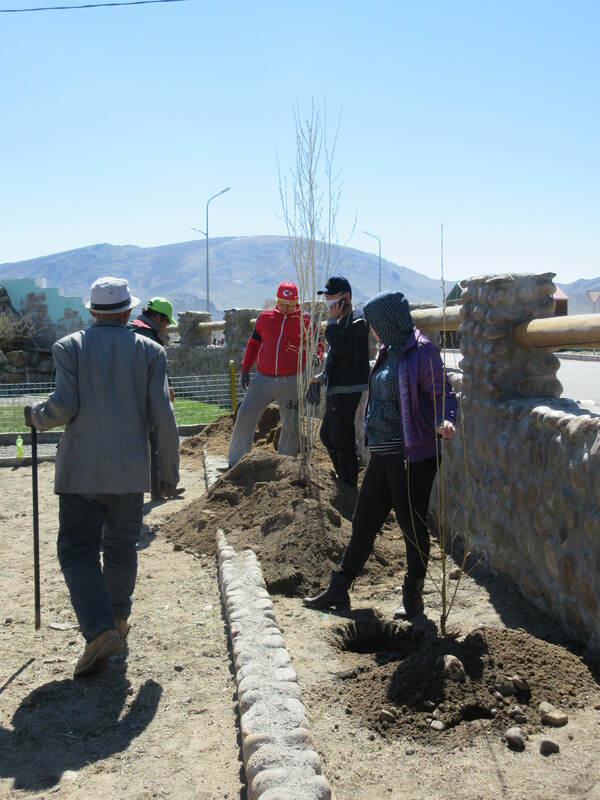 ), even though Peace Corps hadn’t really given me any other options. 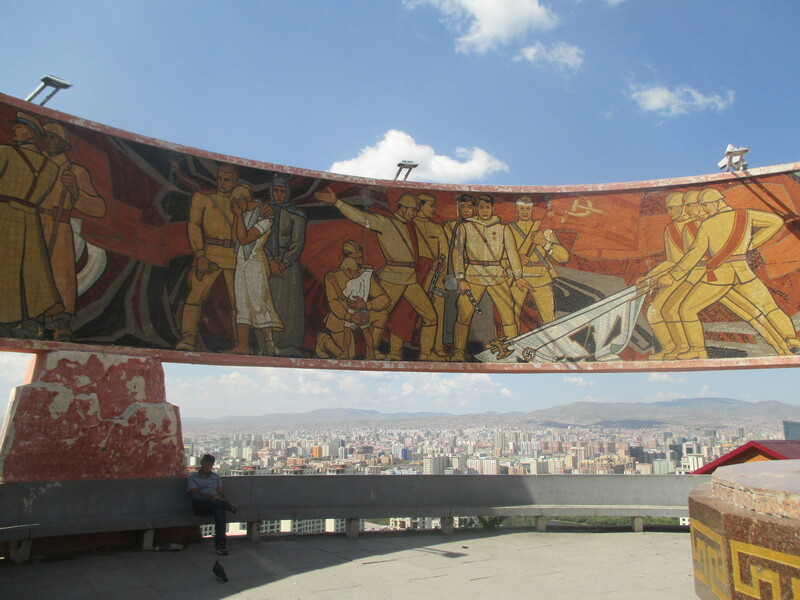 I did get reimbursed for a couple of those days, as I had to be in UB for my mid-service medical and dental exams and could write them off as “medical travel,” but I still ended up having to spend a lot of money to stay at the hostel and buy the overpriced food of the big city. Luckily, I had plenty of money saved up (as there’s not much to buy in a small town in the middle of nowhere), so I decided to take advantage of my free time and go all out! 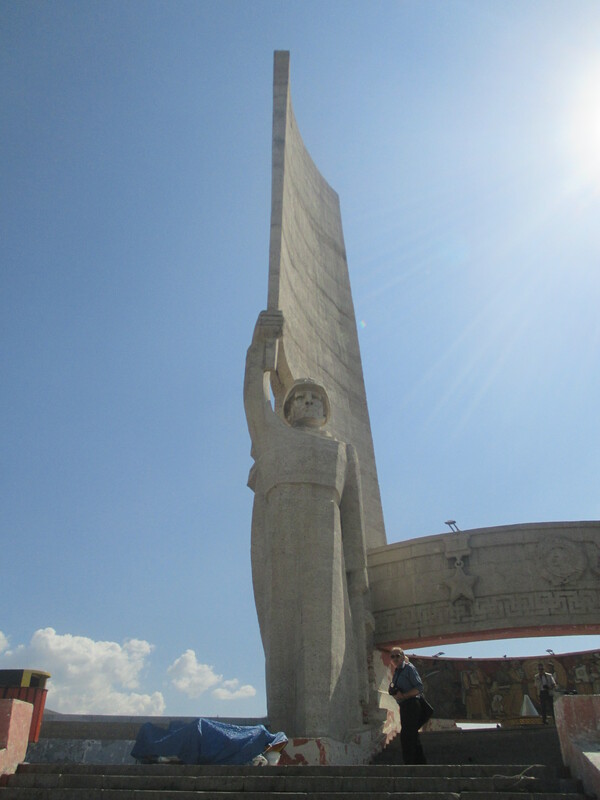 …By which I mean I went around to a bunch of the touristy sites in and around UB. Yes, I know how to party. 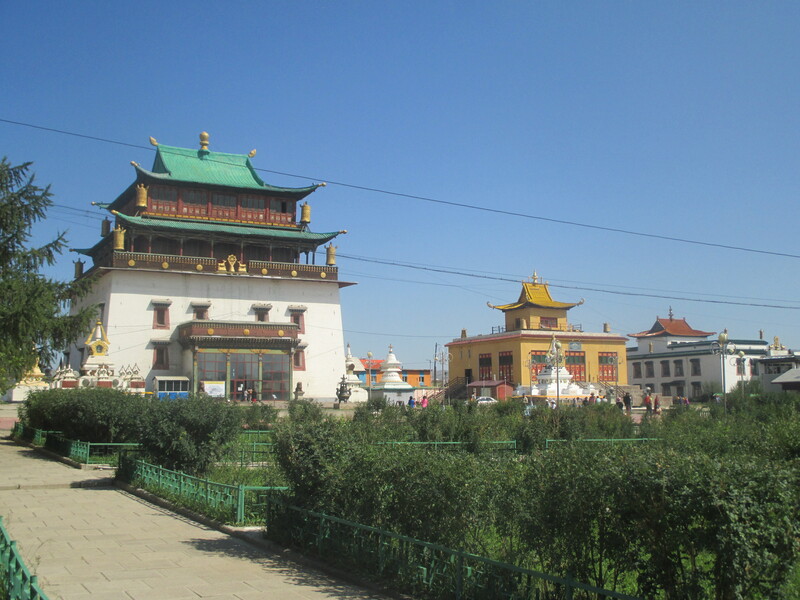 My first stop was Gandantegchinlen Monastery, a large Buddhist monastery smack dab in the middle of the city. 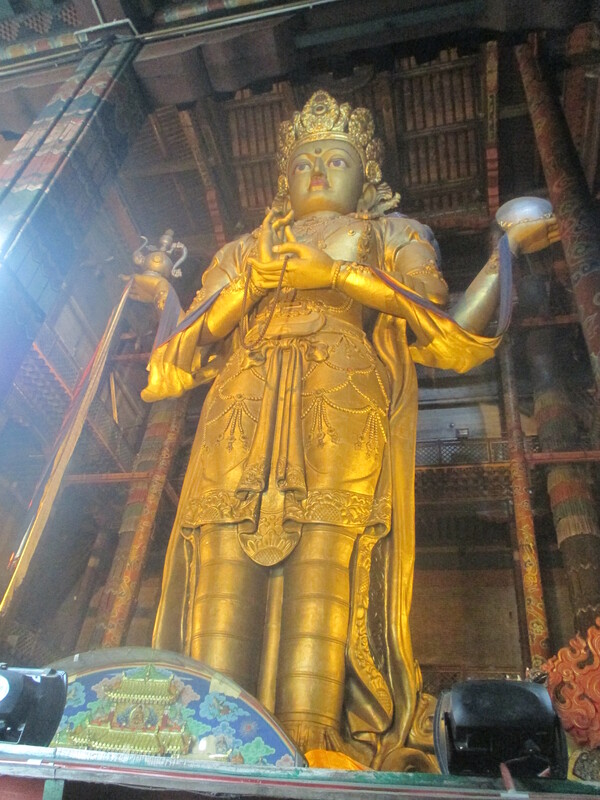 That building on the left houses a statue of the boddhisattva Avalokiteśvara (which likely means nothing to you if you’re not Buddhist), which is apparently the tallest indoor statue in the world, at 87 ft (26.5 m). 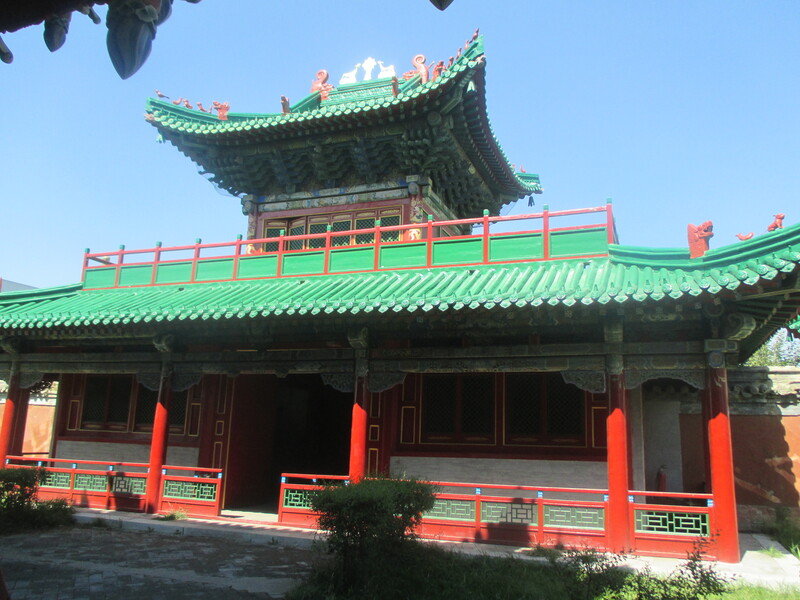 The next day, I went to the southern part of the city to visit the Winter Palace of the Bogd Khan and the Zaisan Memorial. 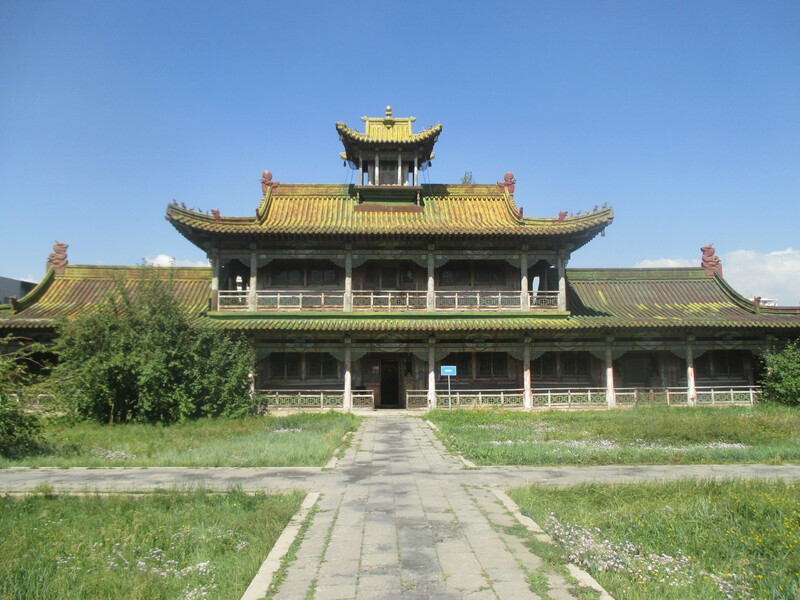 The Winter Palace was one of the four residences of the 8th Jebtsundamba Khutuktu (spiritual head of the Gelug school of Tibetan Buddhism) who later became the emperor of Mongolia (the Bogd Khan) when it declared independence from the Qing dynasty of China in 1911. 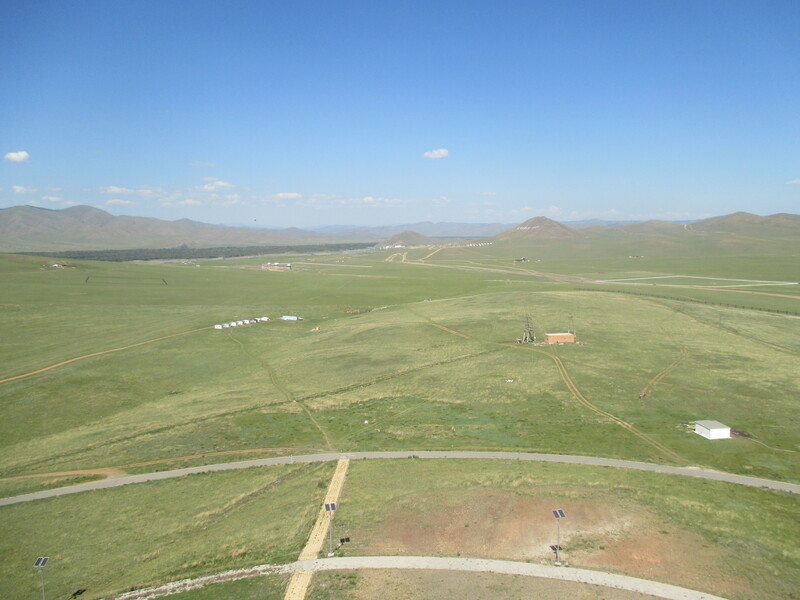 The Bogd Khan was the theocratic ruler of Mongolia until his death in 1924, after which the communist government of the Mongolian People’s Republic came into power. Anyway, now the palace is a museum and tourist attraction. 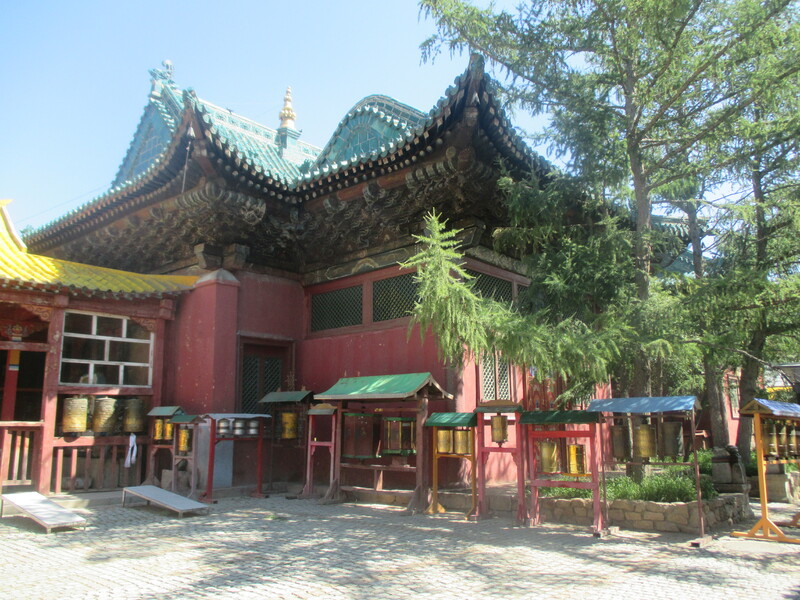 I was able to get some pictures of the outside of the buildings, but they had a strict “no photography” policy inside, so I have no photos of all the cool stuff the museum had, like the fancy jeweled decorations worn by the Bogd Khan’s pet elephant (because of course he had a pet elephant). 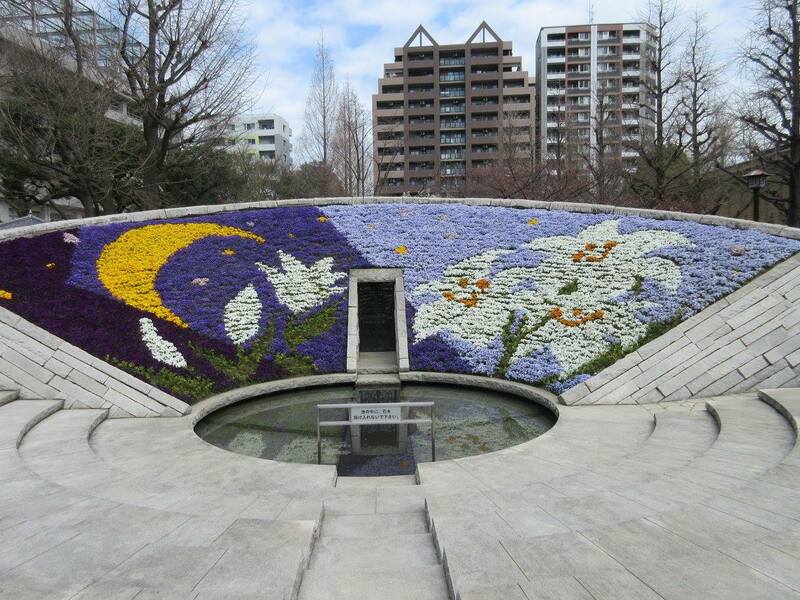 …and then made it to the base of the Zaisan Memorial hill. 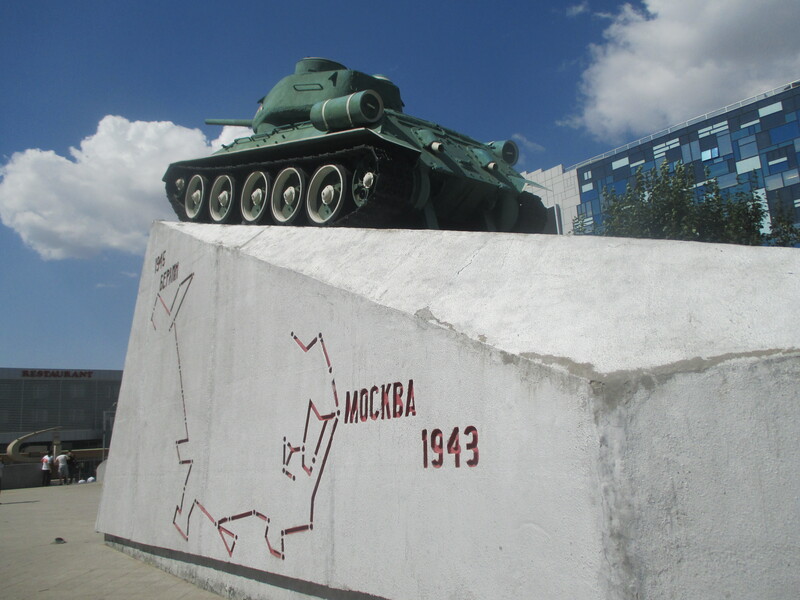 The memorial honors Soviet soldiers killed during World War II, and at the base of the hill is a tank memorial, featuring a Soviet tank sponsored by Mongolia and that participated in the Battle of Berlin in 1945. 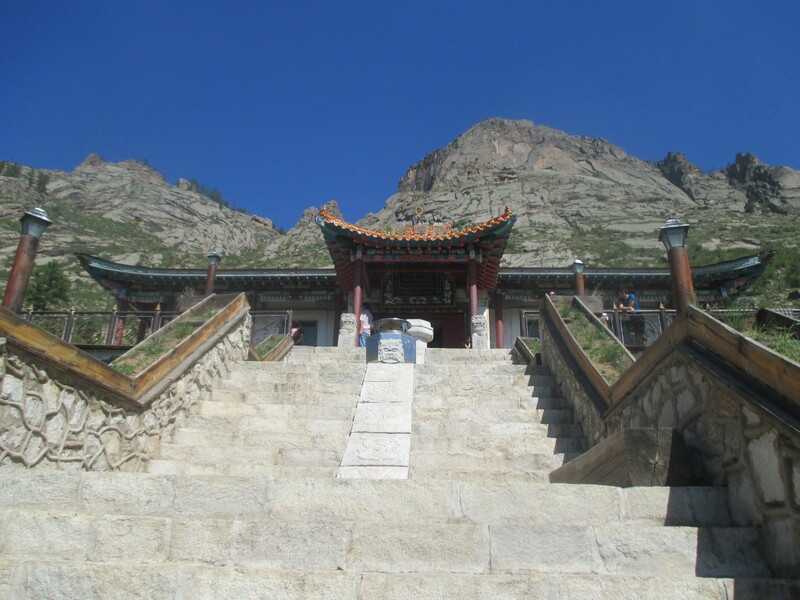 Then I climbed a bunch of steps to the top of the hill, where the main memorial is. 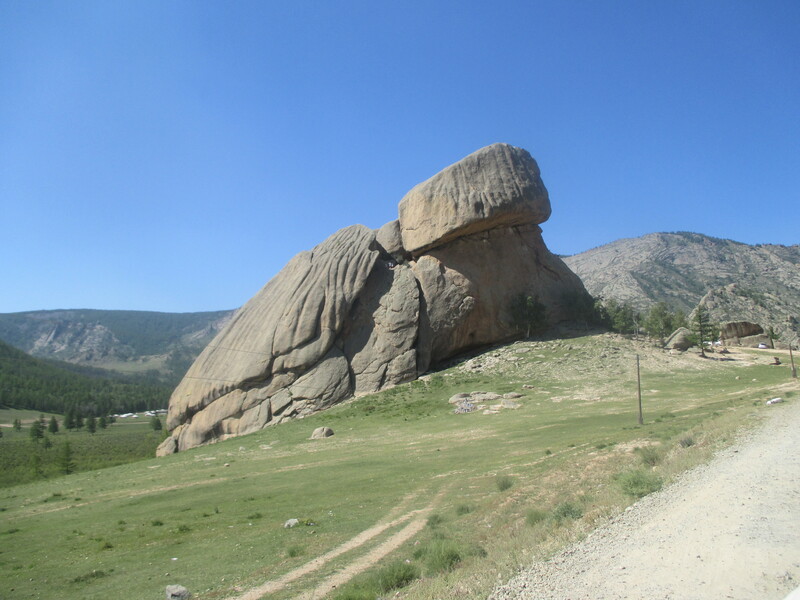 The following day, two guys at the hostel and I decided to take a tour to Gorkhi-Terelj National Park and to the Chinggis Khaan Equestrian Statue. 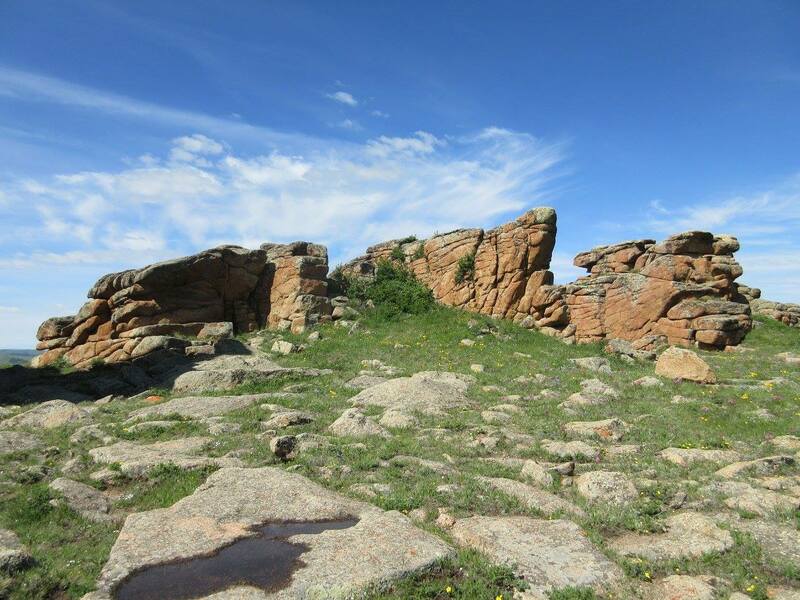 Gorkhi-Terelj National Park is one of the most famous and scenic of Mongolia’s national parks. 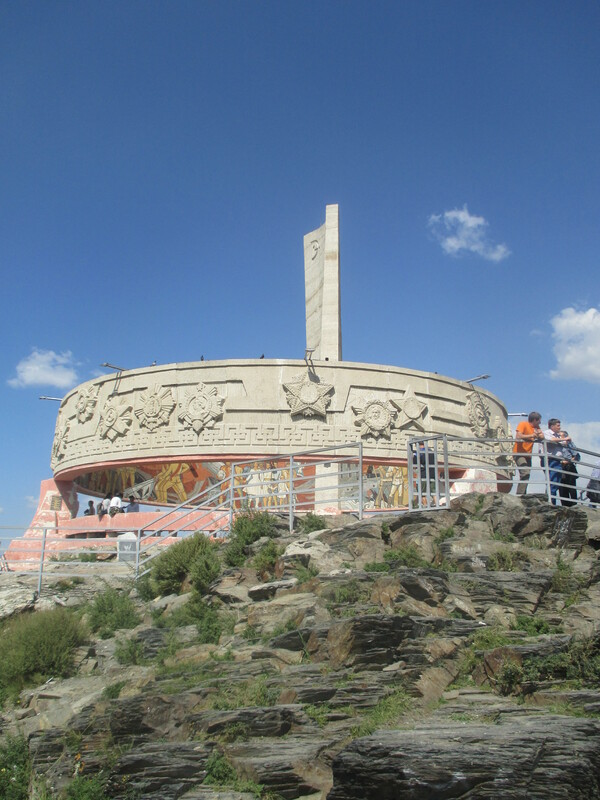 It’s not too far from UB, so it’s a really popular tourist destination. 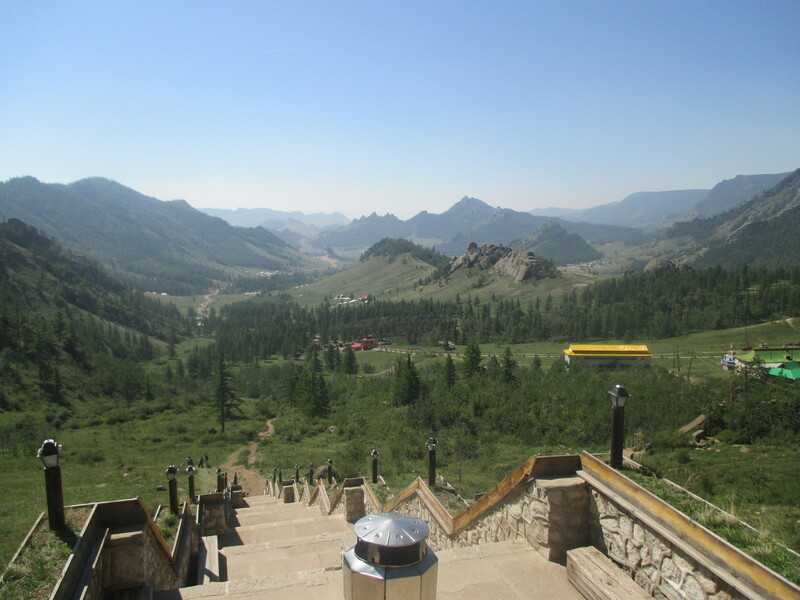 We were only doing a day trip, so we didn’t get to see much of the park (it’s pretty damn big), but we went on a hike up to a monastery, which had an amazing view. 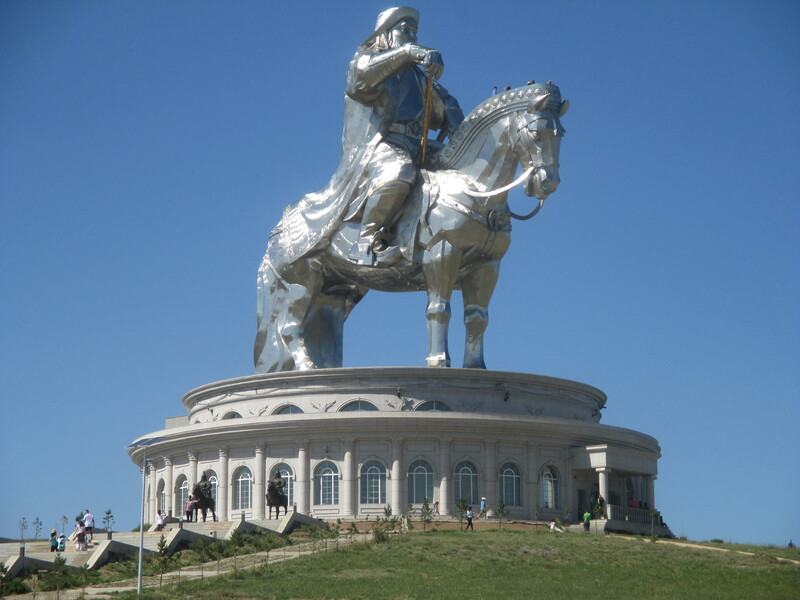 After our brief trip to the park, we headed to the Chinggis Khaan Equestrian Statue (I refuse to spell it your silly, wrong way, Wikipedia). 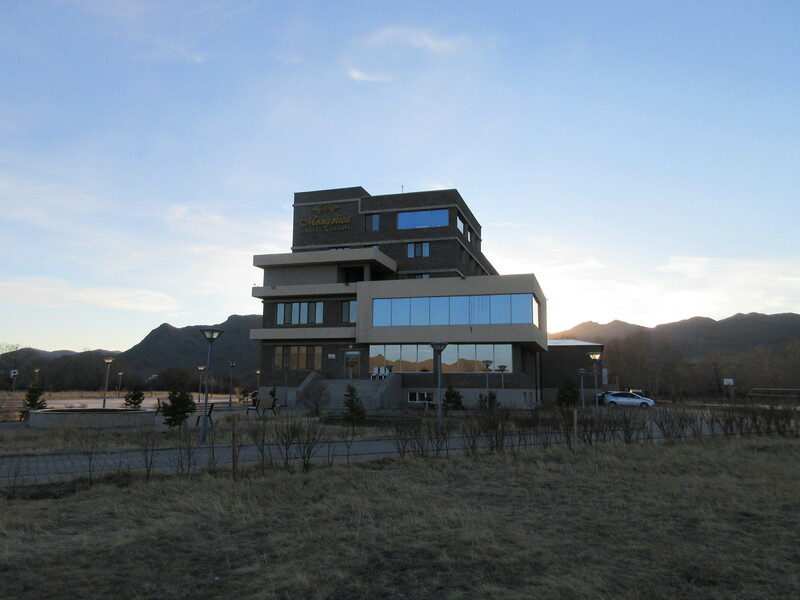 After checking out the statue and the museum underneath it, we went back to the hostel for a nice rest. Finally, it was time for MST. 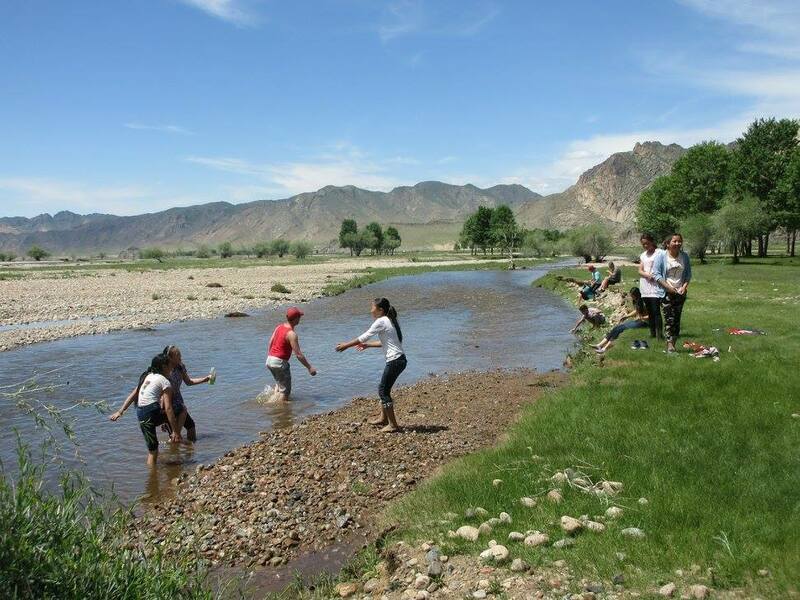 It was held at the same resort that the PDM workshop had been held at back in April, about an hour outside of UB. MST was the first time some of us had seen each other in a year, since Health and CYD had a separate IST from the TEFL group. It was a time to reflect on our first year of service and to look ahead and plan for our second year. 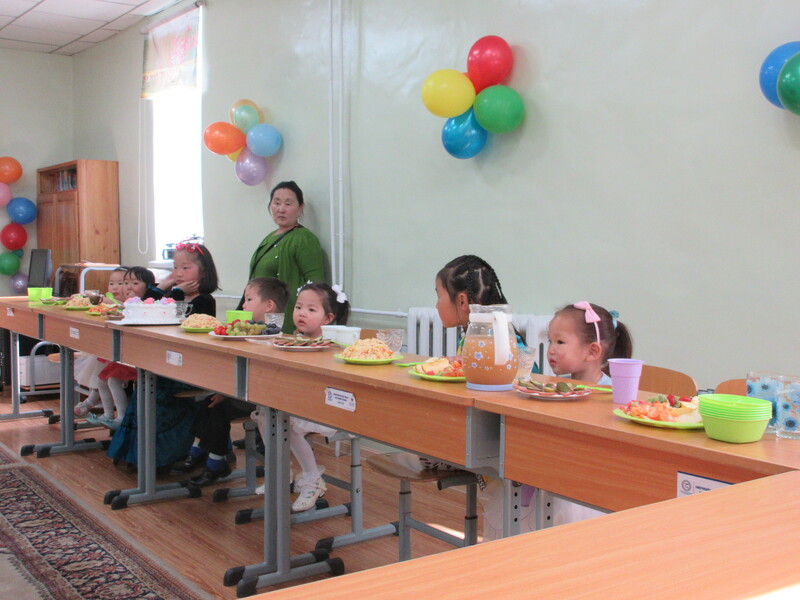 We also had a few Mongolian language classes, as well as our second Language Proficiency Interview (LPI). 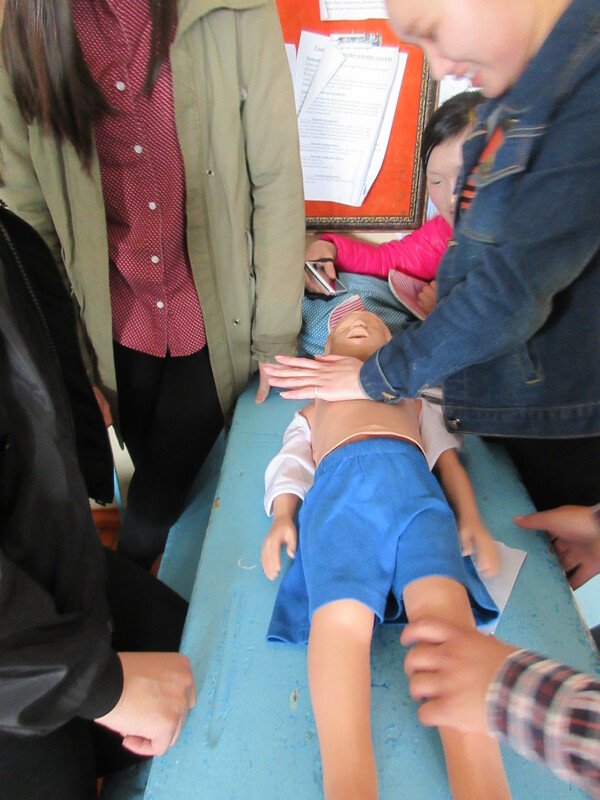 Our first LPI–basically a 30-minute discussion with a Mongolian teacher used to rate your level of language proficiency–was at the end of PST last summer. I was pretty nervous about how this LPI would go. 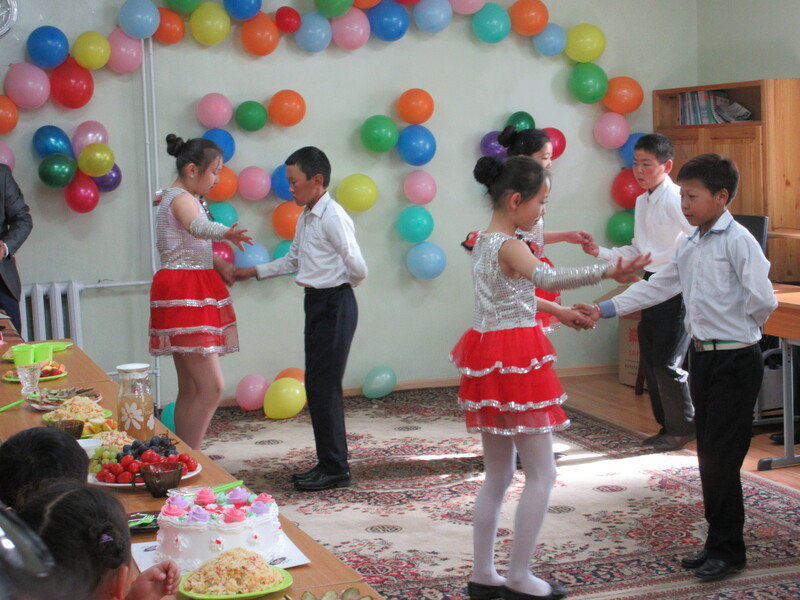 I had done well on my first one, but that was after a summer of 4-hour Mongolian classes every weekday. 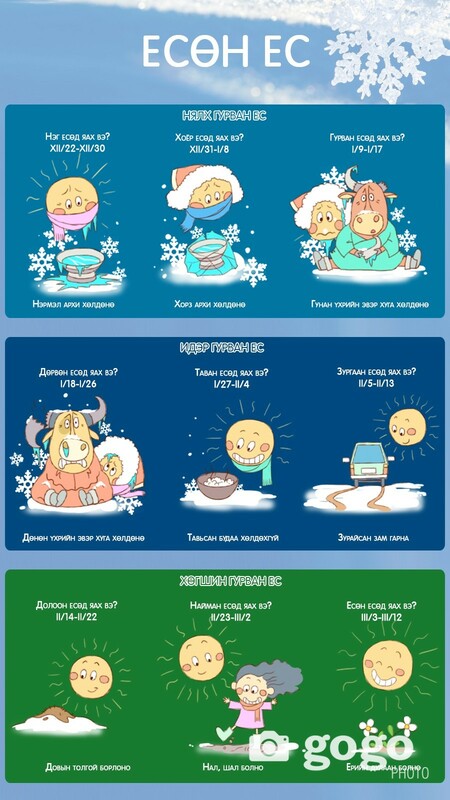 I fell out of the habit of studying soon after I got to site, and even though I obviously have to speak a ton of Mongolian at site, it’s always in the same situations (shopping for groceries, taking a taxi, at work at the health department, etc. ), so my vocabulary has probably decreased. 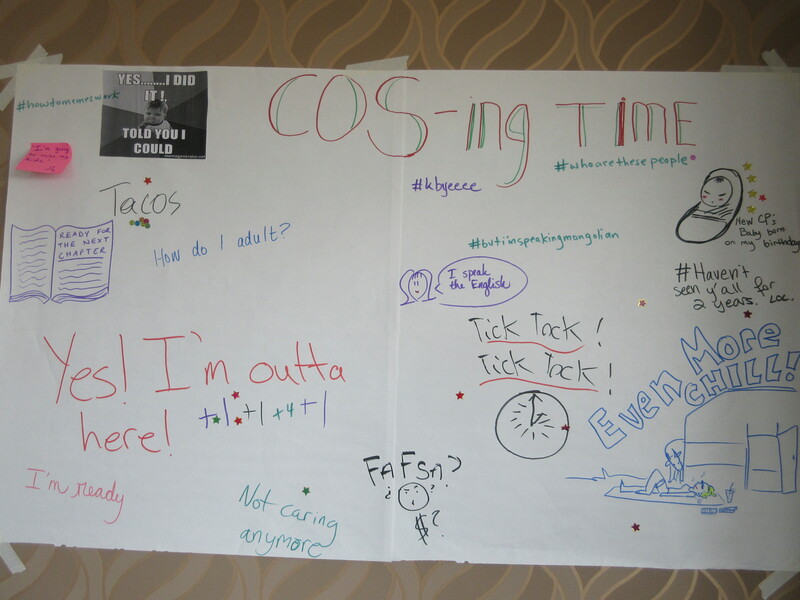 In any case, I have one more LPI to look forward to, at our COS conference next spring! 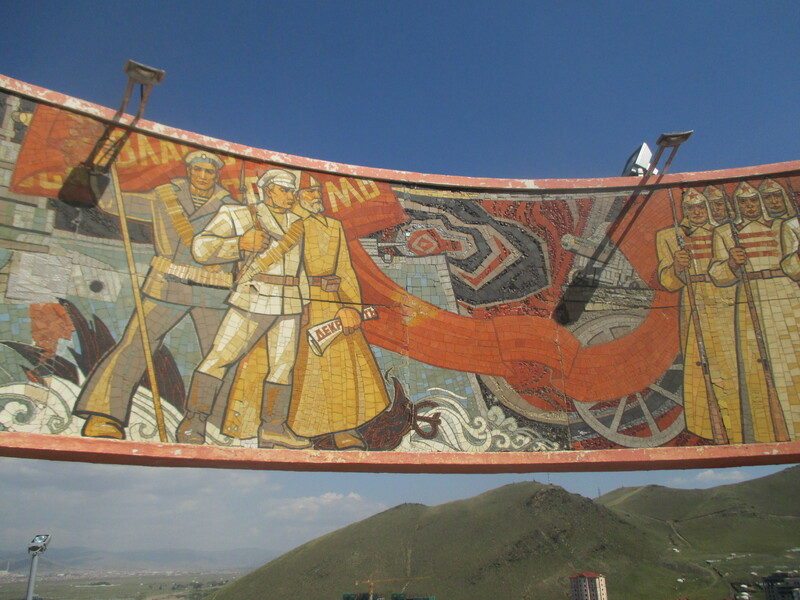 MST was Monday through Friday, and then it was (finally) back to Uliastai on Saturday. My ger had been reconstructed (after it was taken down to replace the wooden floor at the beginning of the summer), but for whatever reason my electricity hadn’t been reconnected, so I without power for the first 4 days I was back. It also rained almost every day that first week back, so I quickly discovered that my ger floods from rainwater seeping in along the floor (an issue which I’m still working to get resolved). And there was the general unpacking of all my belongings that I had to pack up right before they took my ger down. So it’s been kinda stressful. But the weekend after that stressful week was filled with hanging out with my sitemates, including our new M26. 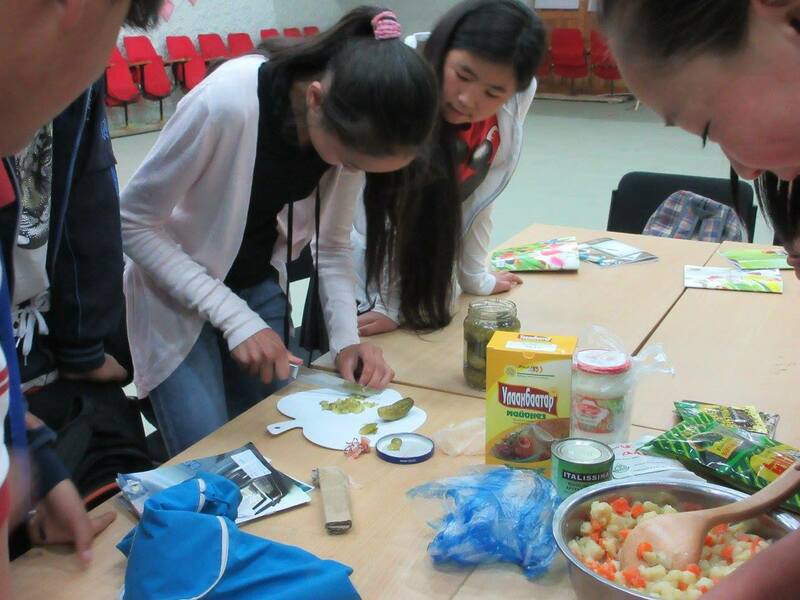 On Friday evening, we got together to make dinner and to discuss our plans for community projects for the next year (community English classes, “Monglish” nights, benefit concert 2.0, and several new projects that are in the works–so stay tuned!). Then on Saturday we went on our first hike of autumn (though how many more we’ll be able to go on before winter hits is questionable, considering it’s already getting below freezing at night).